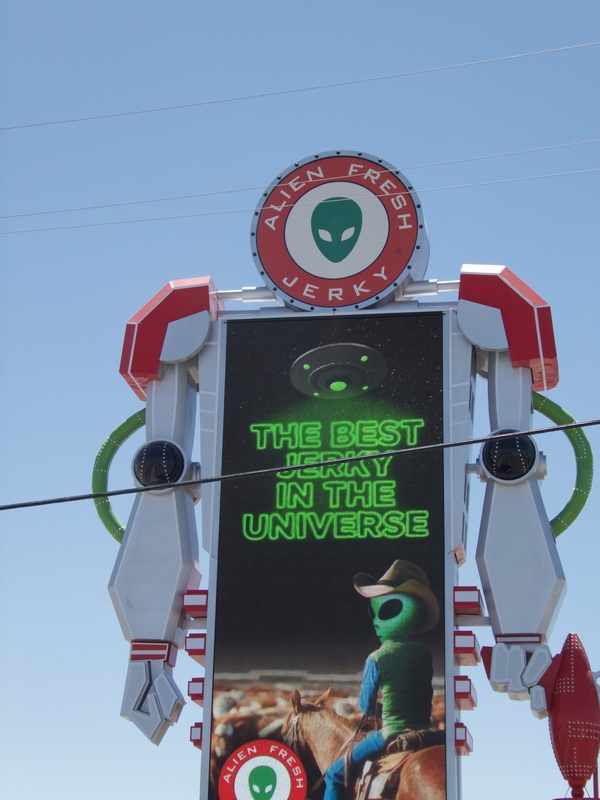 As humans say, “Back in the day”, Route 66 was the a highway in the United States. What does that mean? When automobiles were new, no super highways existed, and Americans wanted to take road trips, Route 66 was the answer. Route 66 went from Chicago, Illinois to Santa Monica (Los Angeles) California. 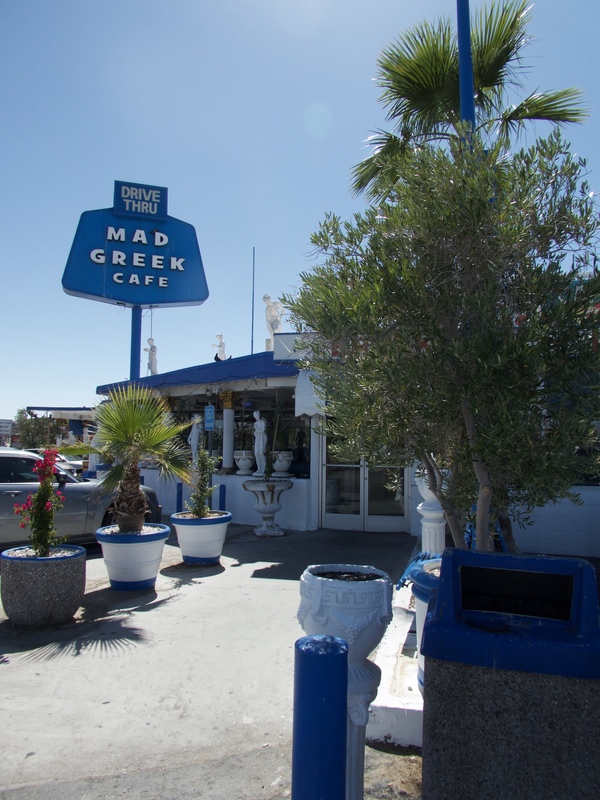 Now, with interstate highways of 4 of more lanes, and bypassing many towns, Route 66 doesn’t have as much traffic, but it does hold fond, happy memories for so many Americans. Leaving Arizona on Route 66, we entered the state of California. 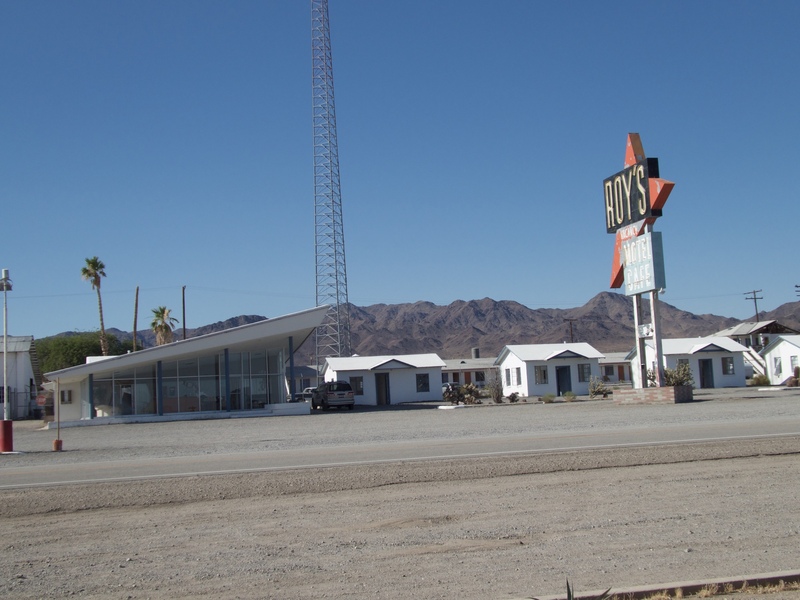 A few hours later, driving through the desert, we approached the now ghost town of Amboy, California. 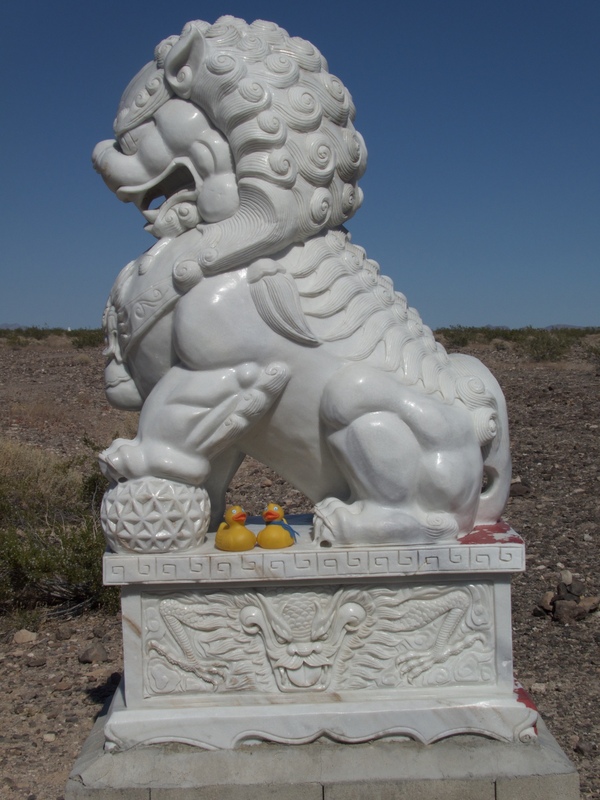 This is one of two lions designated as Guardian Lions of Route 66. The side view of the guardian lion is nice, but Zeb and Soapy really add to the photo. A few miles further and we are at Roy’s Cafe and Motel. 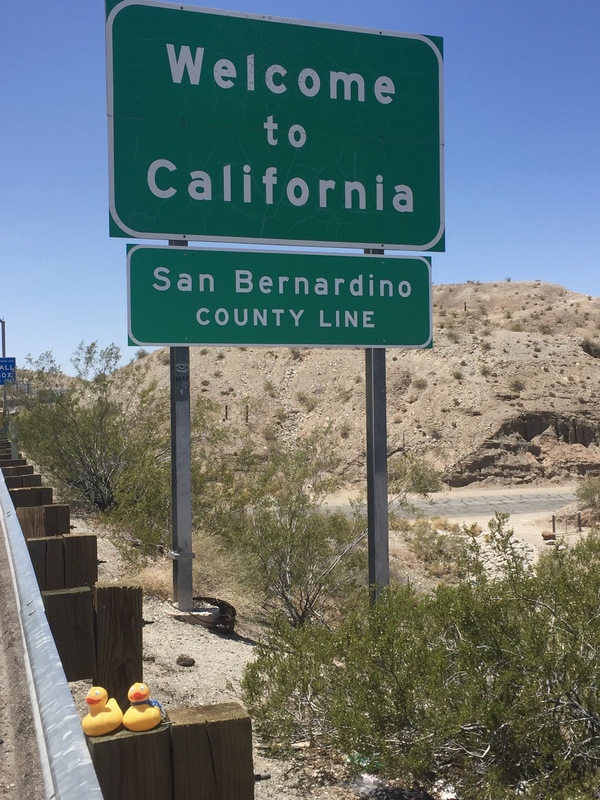 The sign is the tallest thing for miles in the desert. 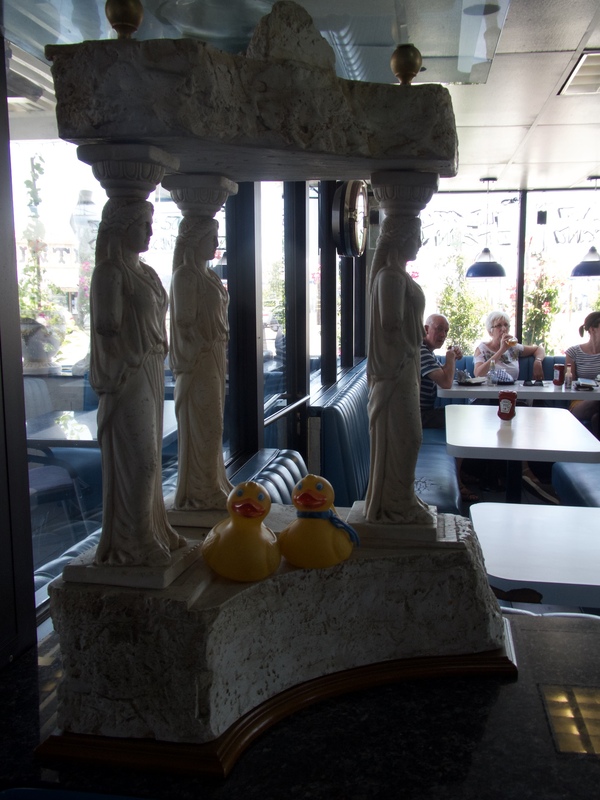 Roy’s opened in the 1930’s and had its golden age in the 50’s and 60’s. 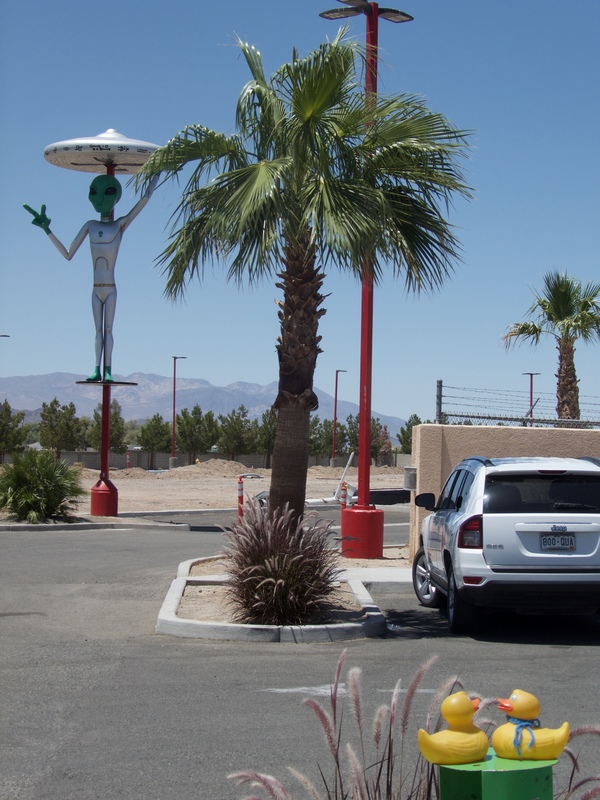 Driving near Amboy, the humans were reading Roadside America, learning about unusual roadside attractions. There was a shoe tree near the guardian lions, but in 2010 the tree fell over. Still a few shoes, but now a tree near Roy’s has shoes. 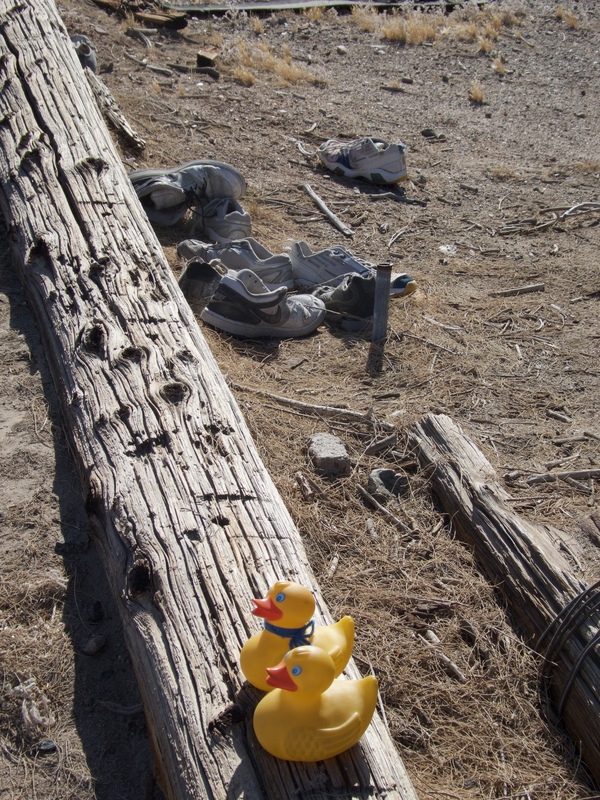 We are ducks, but we don’t really understand why humans put their shoes in a tree. But, our moms thought it was a great thing to see. There are even more shoes on the ground. Guess it is not so easy to throw them into the tree. Next we examined the trash pole. Again, it must be a human thing. But better to put trash on the pole than throw it on the ground. We will never tell our moms, but it was rather fun to see this stuff. I think Soapy’s mom put one of her business cards there with many other business cards. 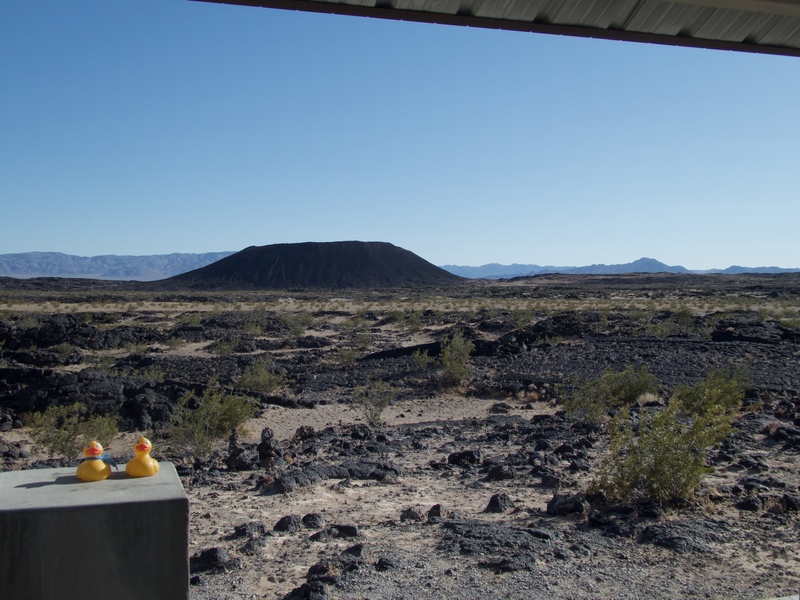 Next stop was Amboy Crater. This is a natural crater, and designated as a National Natural Landmark, by the United States government. 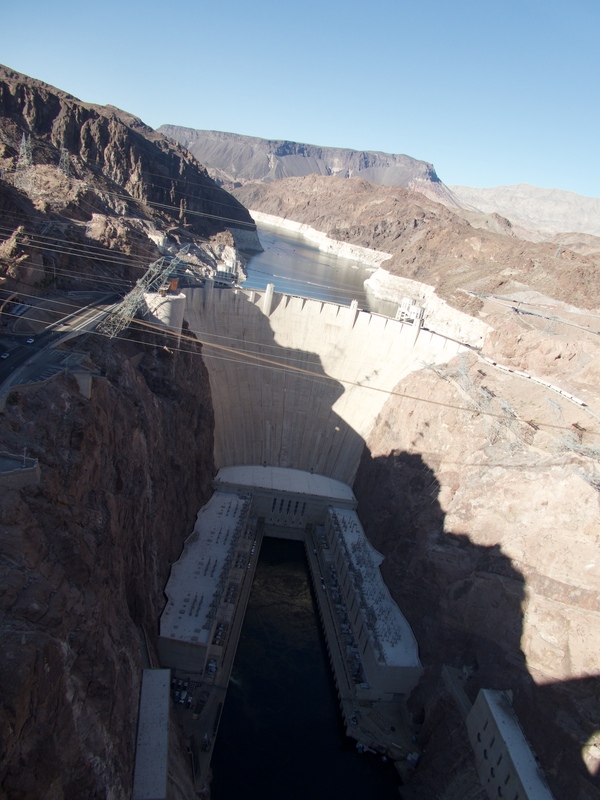 It is 250 feet high and 1,500 feet in diameter. 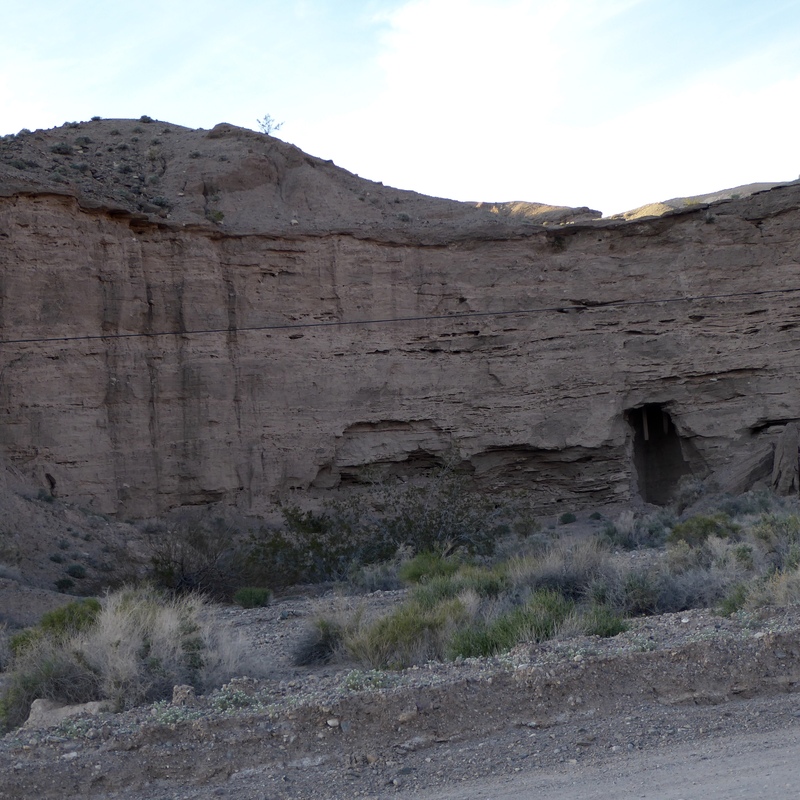 This is one of the youngest volcanic fields in the United States. This crater is located in the Barstow-Bristol trough. 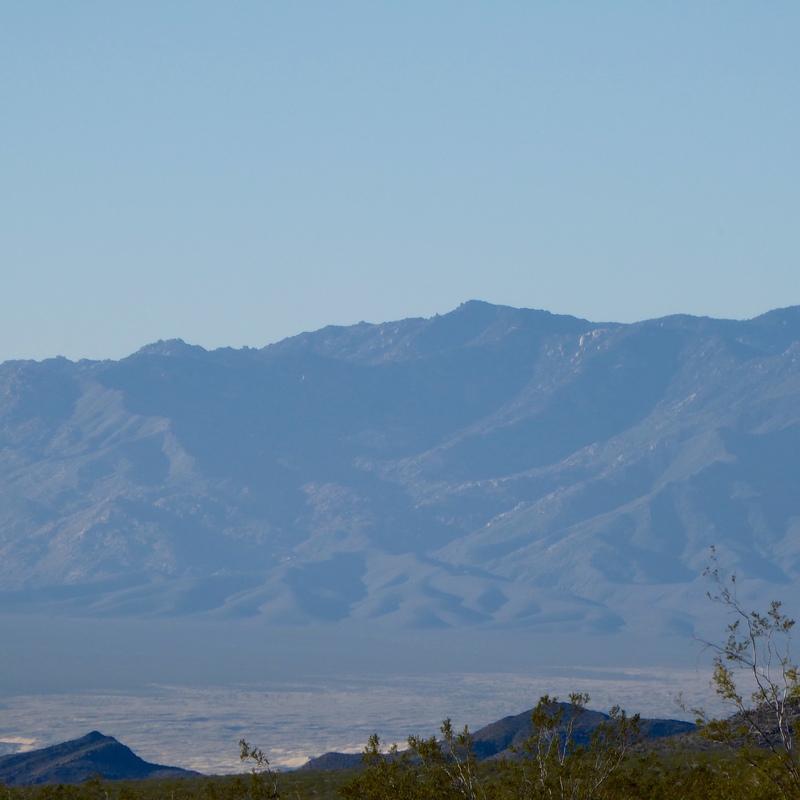 The crater straddles the boundary of the Mojave and Sonoran tectonic blocks. The most recent eruption was 10,000 years ago. Now, to the salt mines. 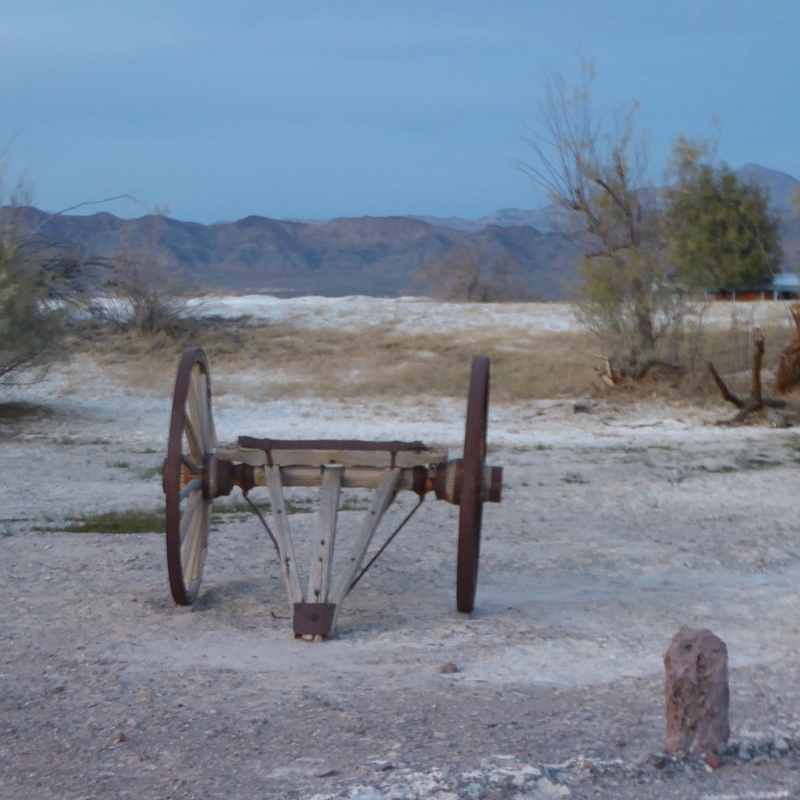 This area crosses Bristol Dry Lake and is the site of two large active salt mines. Salt mines. Pyramids in front of salt from mine. The row of pyramids in the foreground gets the attention on http://www.RoadsideAmerica.com. 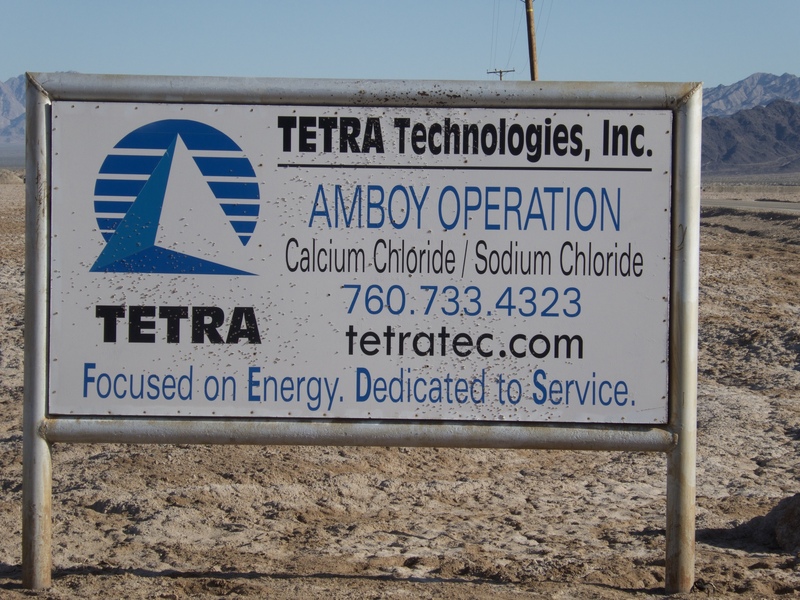 These salt mines produce much of the sodium and sodium chloride used in high school chemistry classes. Driving through the desert is fun, but I don’t think I would like to be here in summer with extremely high temperatures. 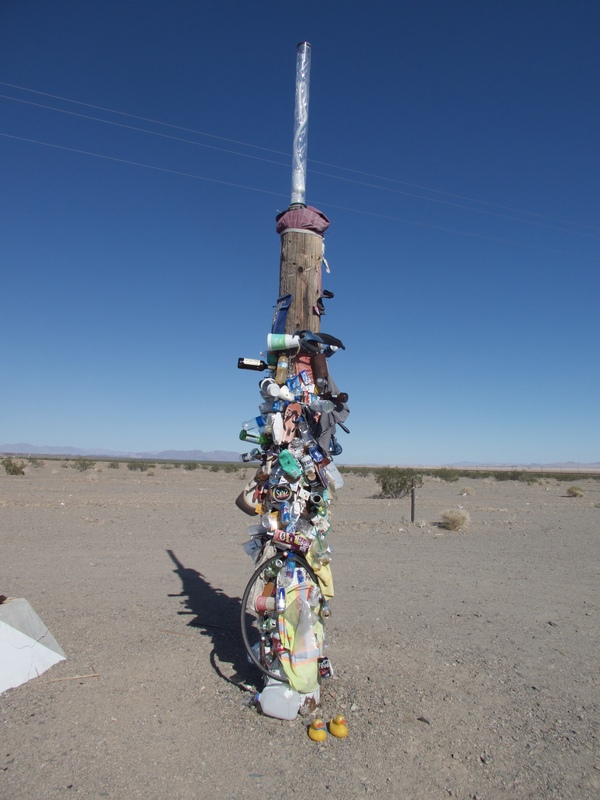 Amboy, California is south of the Mojave National Preserve and north of Joshua Tree National Park. 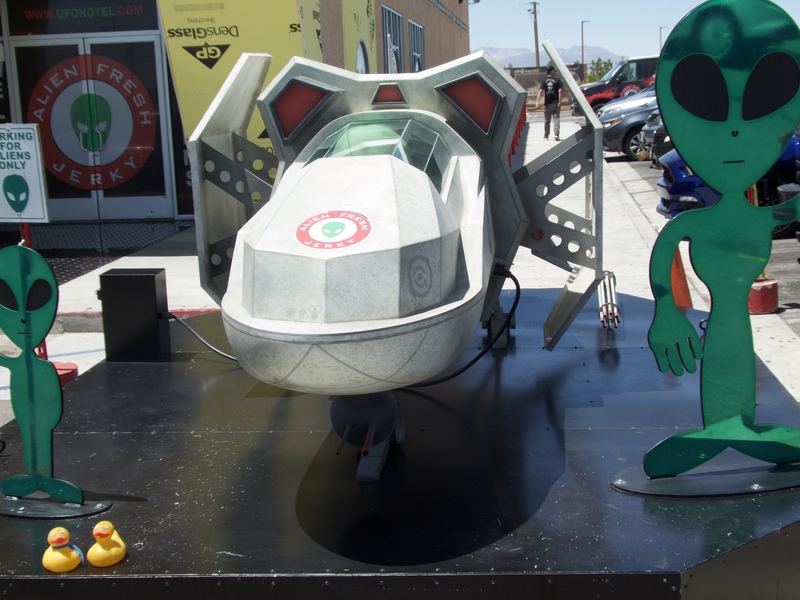 If you are traveling on Route 66 through the desert, we hope you will stop to see some unusual things, also. 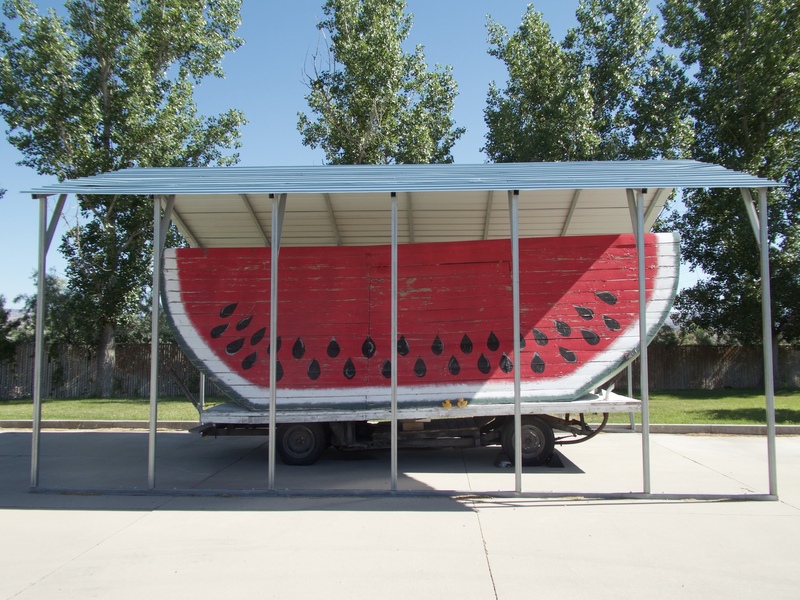 Next time we will show you some unusual things in Baker, California, still in the desert. 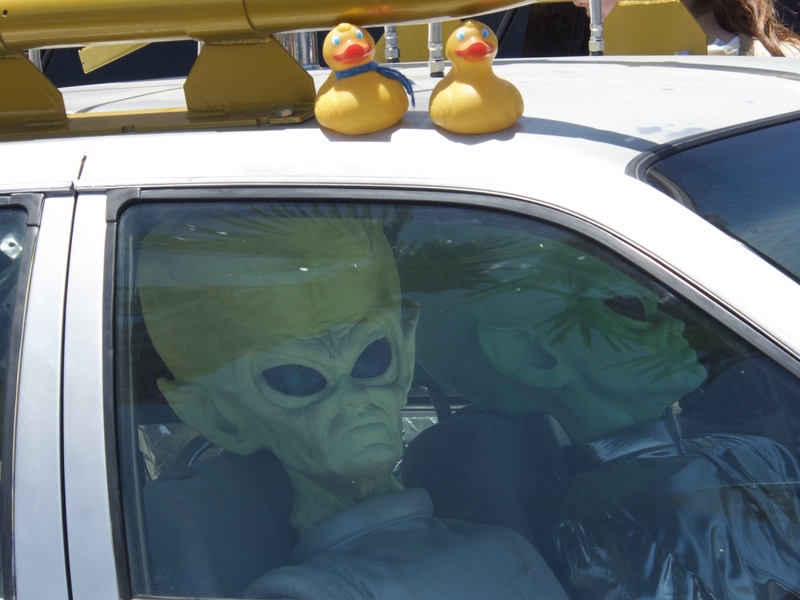 It really is out of this world. 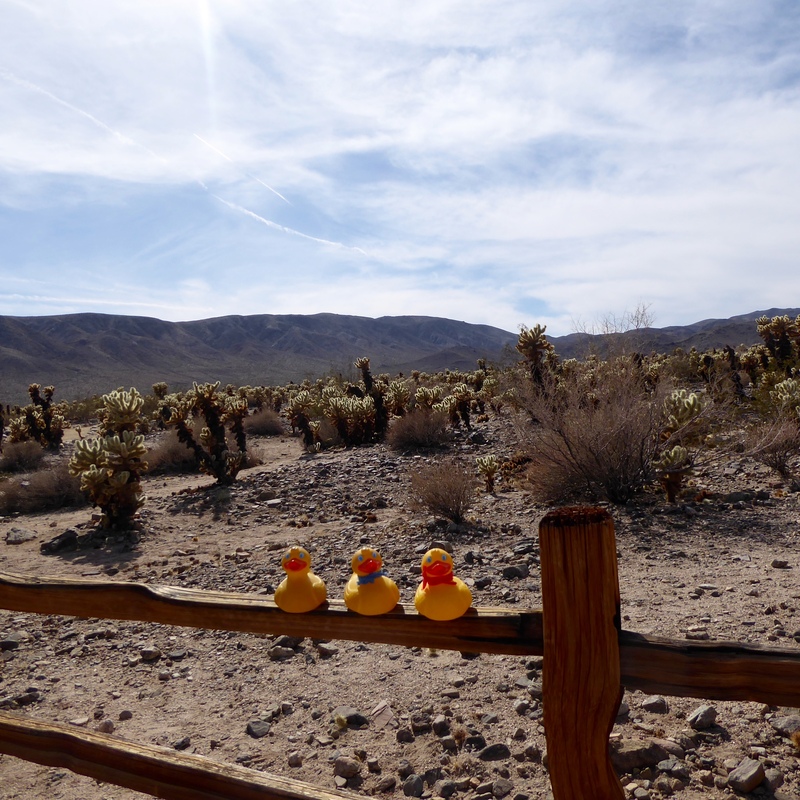 In the desert of southeast California, we entered Joshua Tree National Park. As you know, this is the 100th anniversary of the National Park Service, so we are visiting some national parks this year. 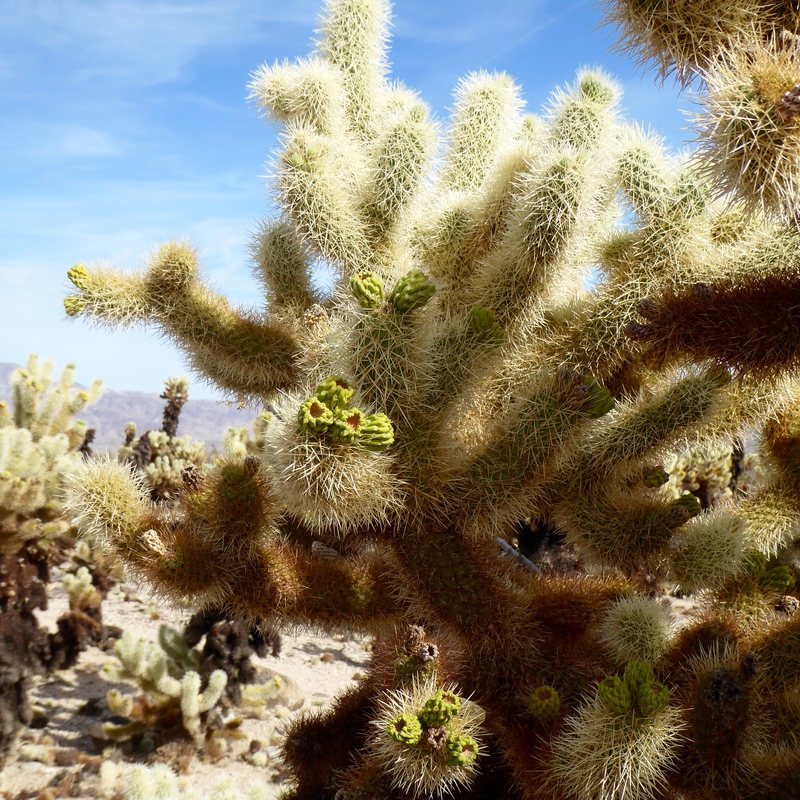 The desert has so many types of vegetation and pretty cactus. This silver one caught our attention. 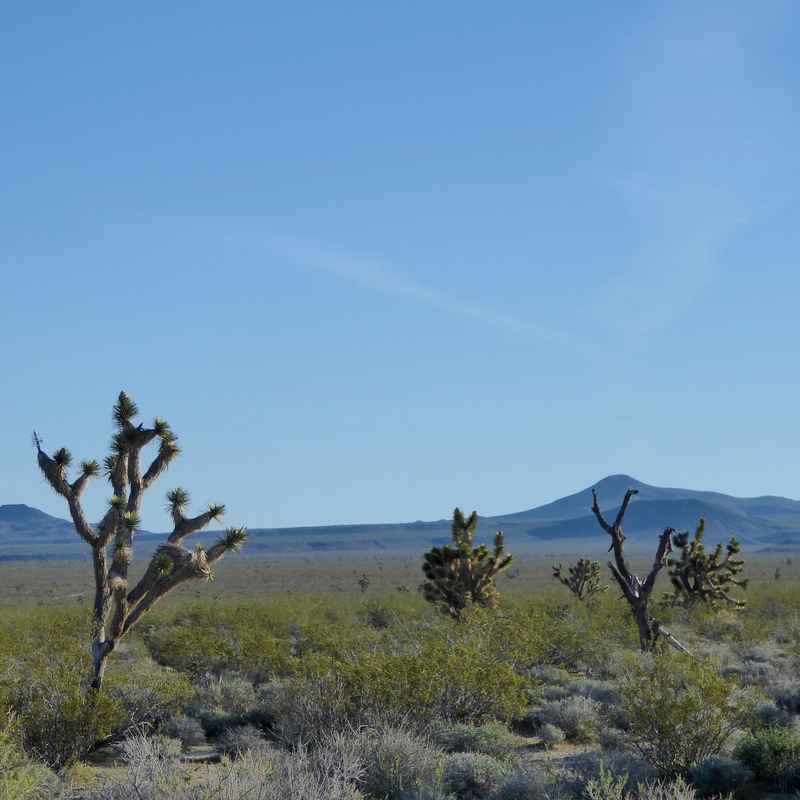 The western part of Joshua Tree National Park is in the Mojave Desert. 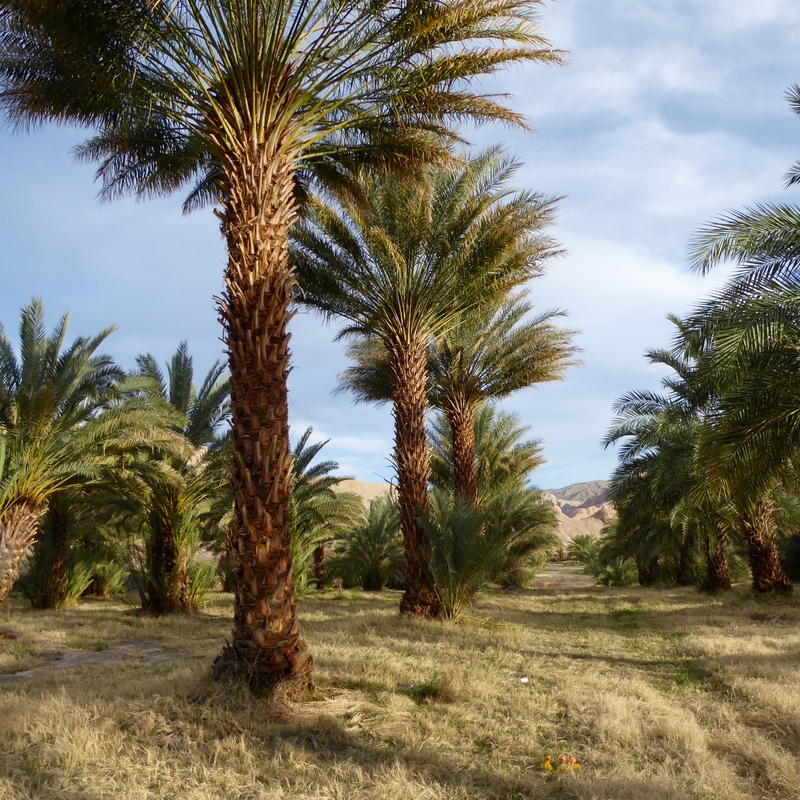 This desert is more than 3,000 feet above sea level. 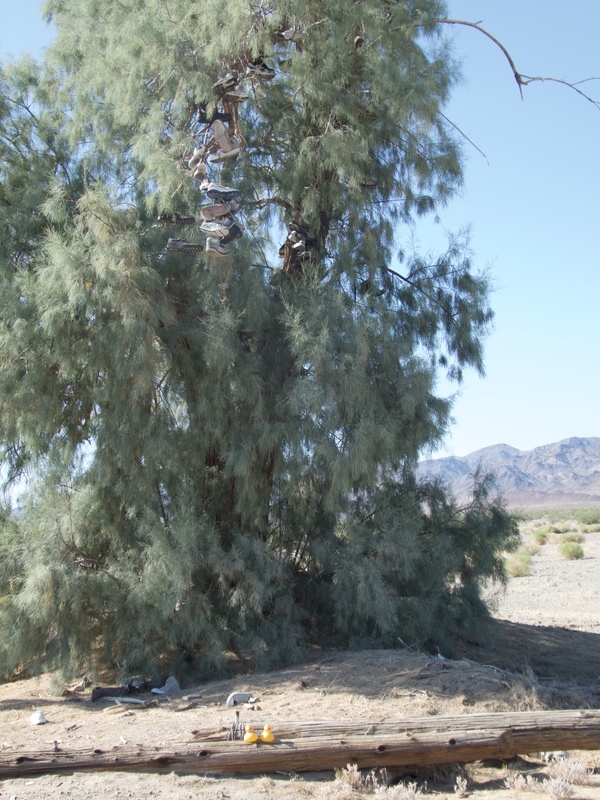 This is a Joshua Tree. 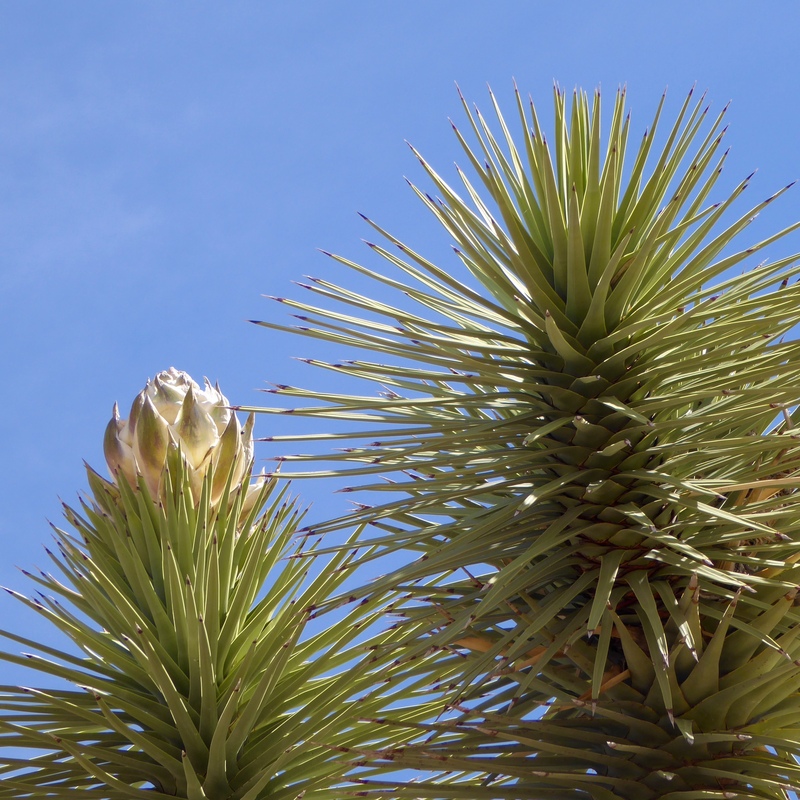 Joshua trees are really a species of yucca plant and are a symbol of the Mojave Desert. The waxy, spiny leaves expose little surface area, efficiently conserving moisture. 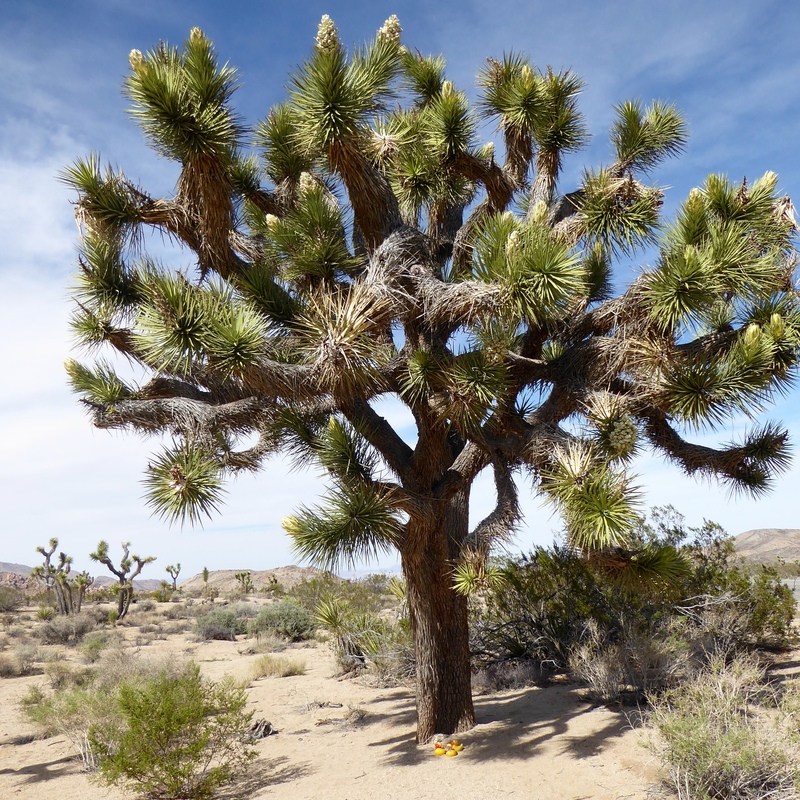 Joshua trees can grow over 40 feet tall–at the leisurely rate of an inch a year. 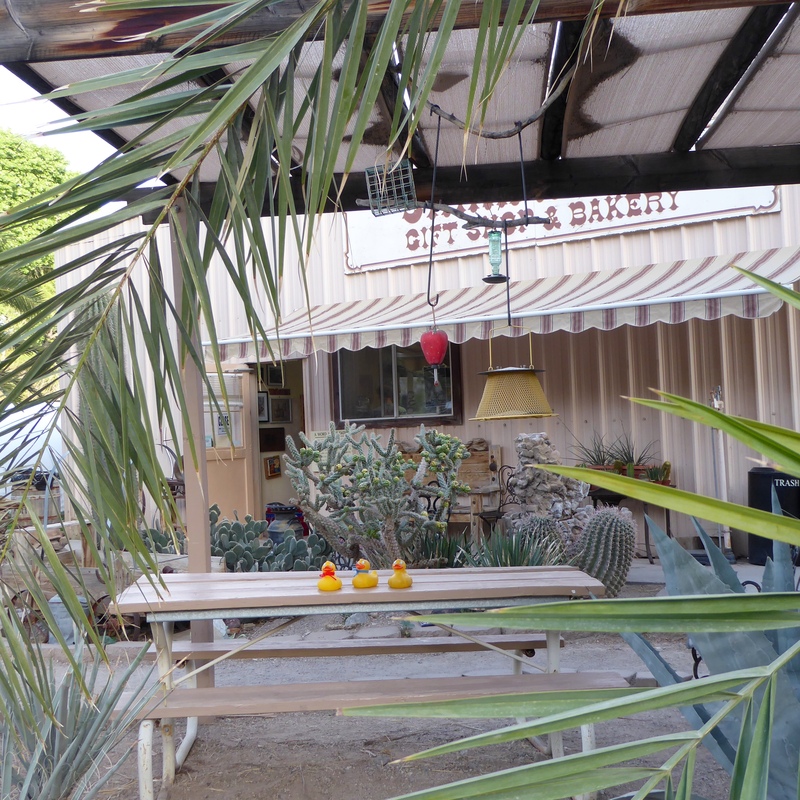 Our Joshua Tree has flowers. Joshua Trees bloom February through April. The flower is pollinated only by the Joshua moth, and branching occurs after flowering. 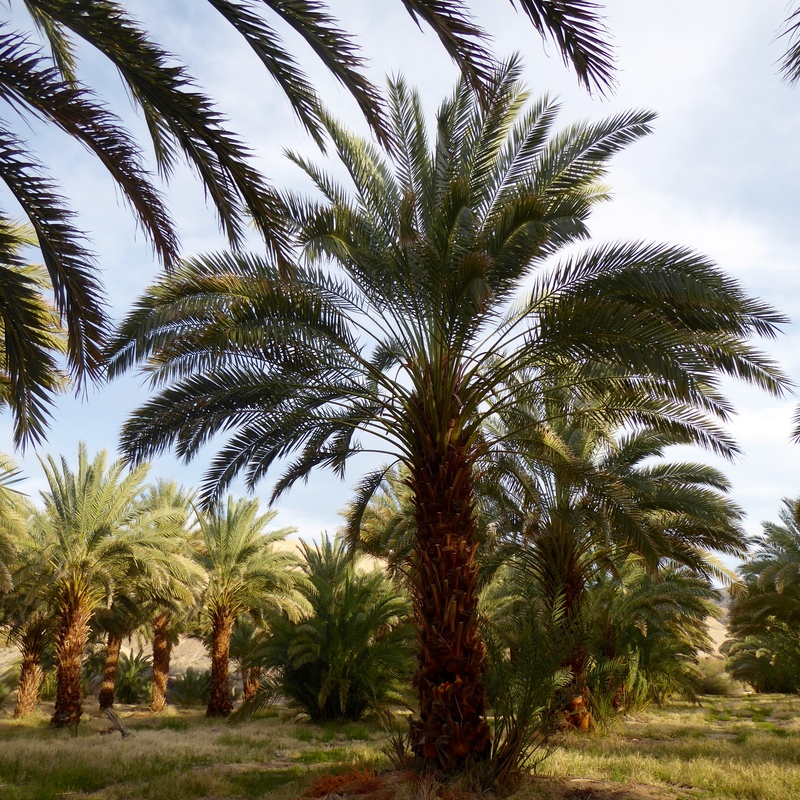 These trees are not scarce in Joshua Tree National Park, nor in the Mojave Desert. They are referred to as the Tree of Life, similar to the Saguaro cactus in the Sonoran Desert. The rock formations here are great also. This is Skull Rock. You know how it received that name. 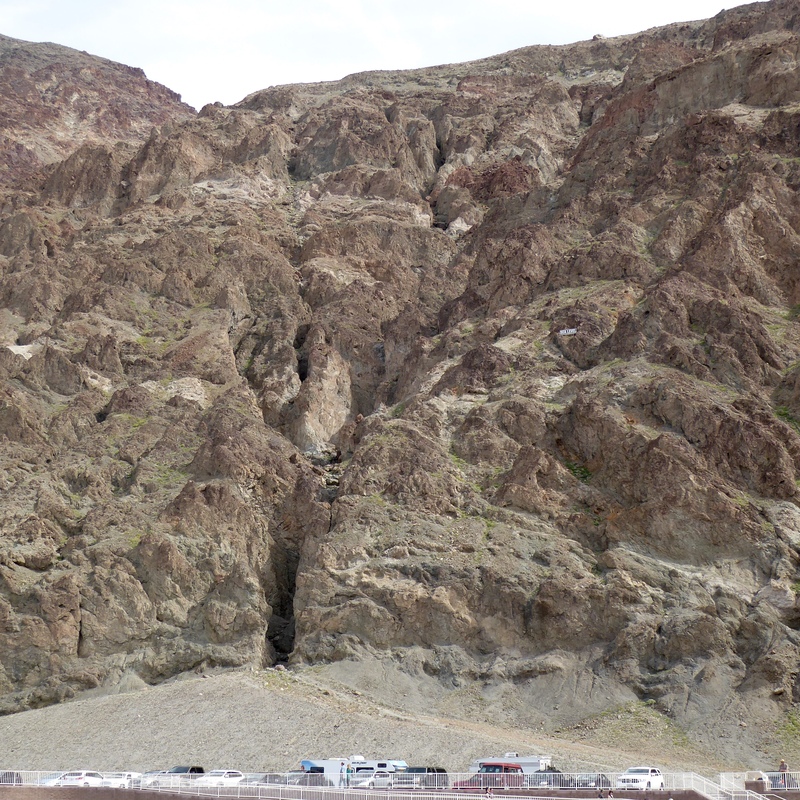 The rocks were formed by underground volcanic activity eons ago and have evolved to todays rock formations. We love them. 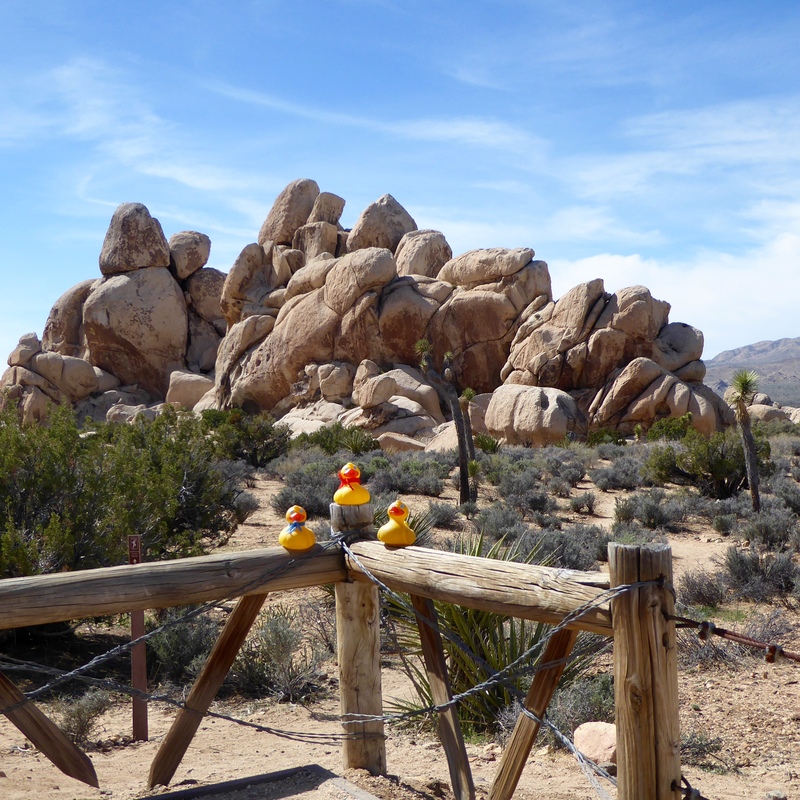 The eastern part of Joshua Tree National Park is in the Colorado Desert. This desert is less than 3,000 above sea level. 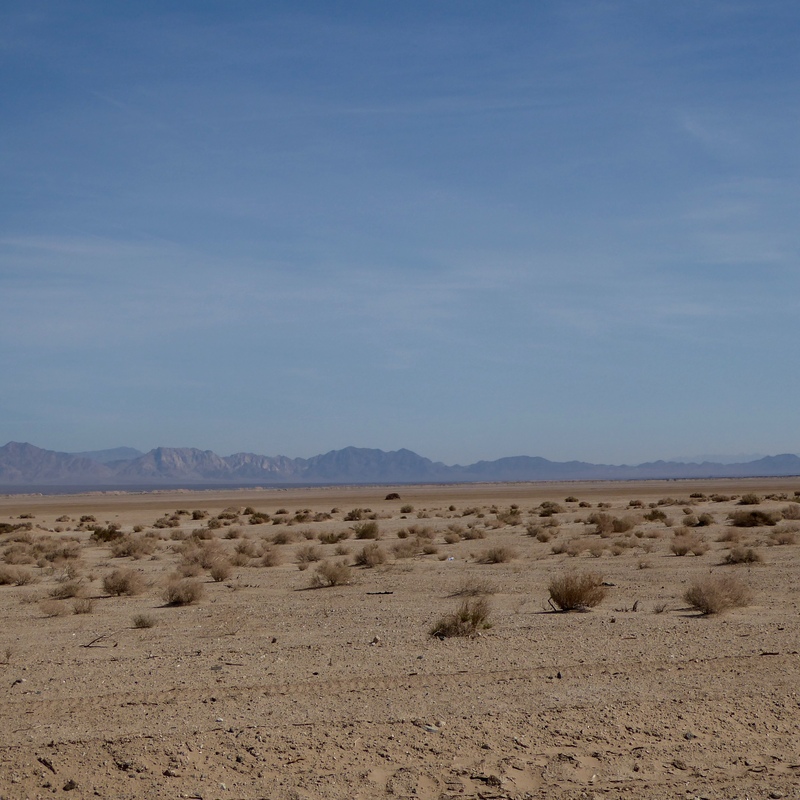 The Colorado Desert is a lower, hotter and drier desert than the Mojave Desert. The Colorado Desert is a sub division of the Sonoran Desert. 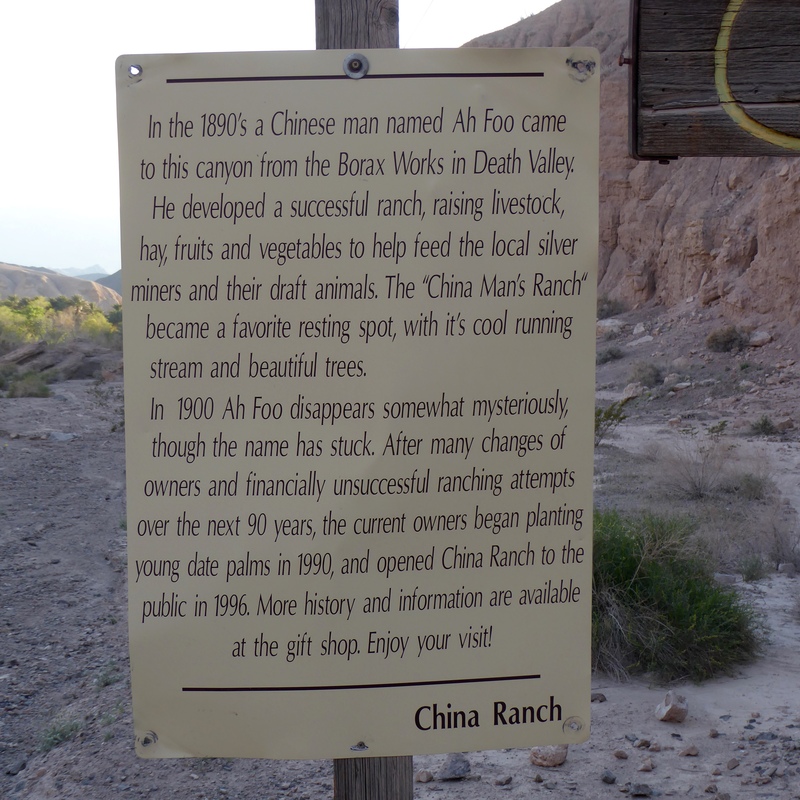 Of course there are no boundaries between the deserts, just a subtle, gradual change and the appearance of lower creosote bushes. 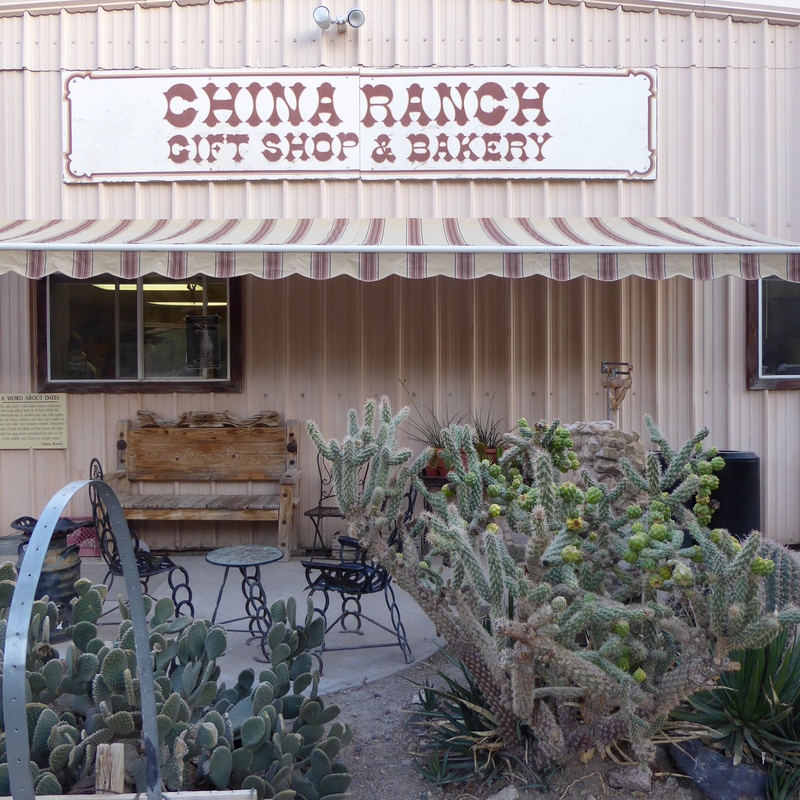 There are many Cholla Cactus here. 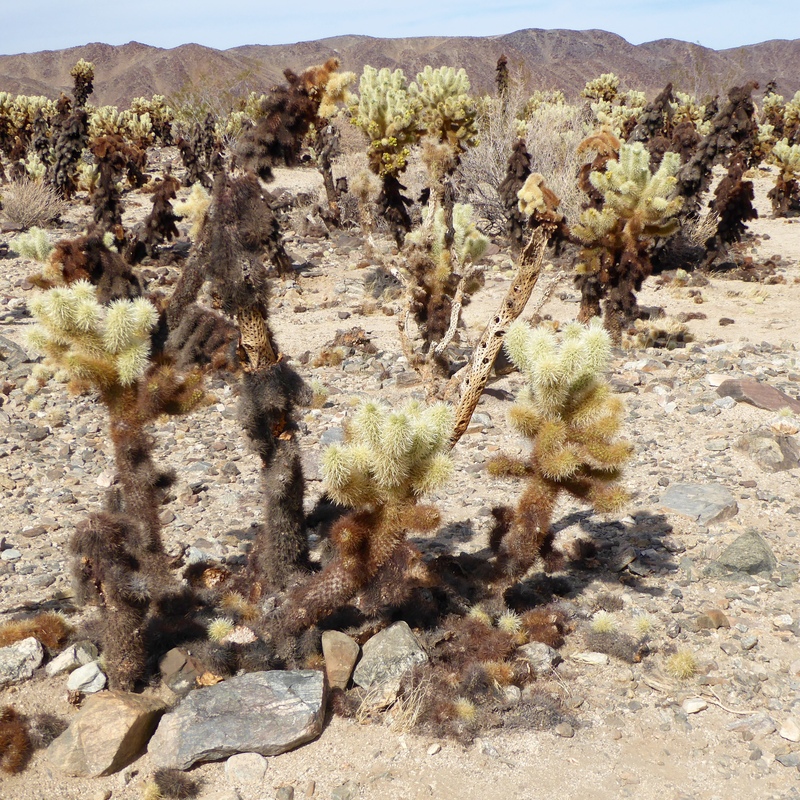 This fenced area is called the Cholla Cactus Garden. Let’s go explore. The signs say not to touch the cactus, or even get too close. The needles cause pain–going in and coming out of your body. Here is new growth on the cactus. When the needles turn brown and fall off, the remaining cactus arm resembles woven, hollow stalks. 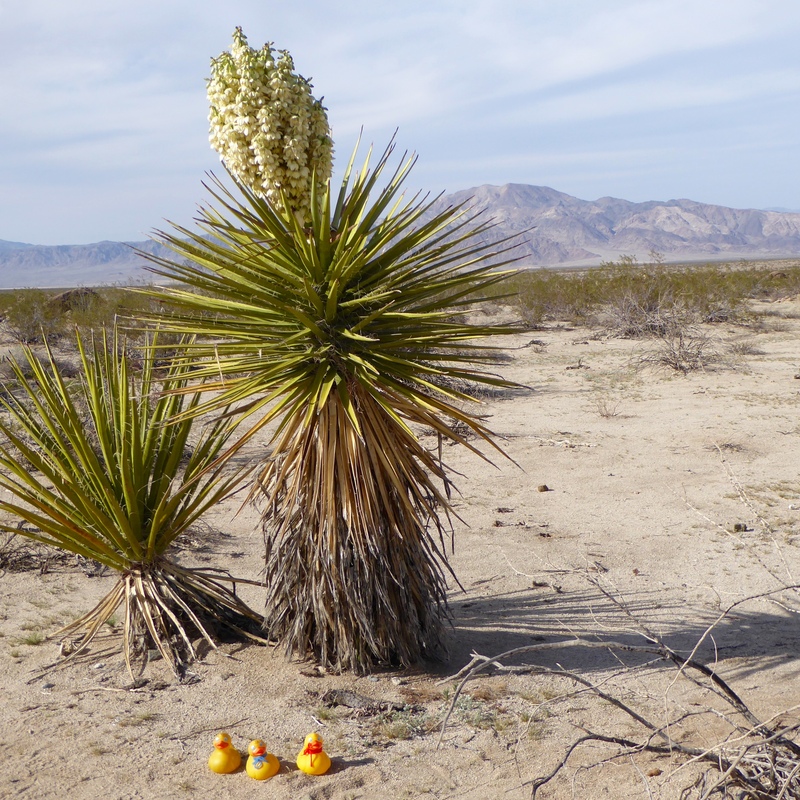 Even though this is a sub division of the Sonoran Desert, the large cactus do not appear. 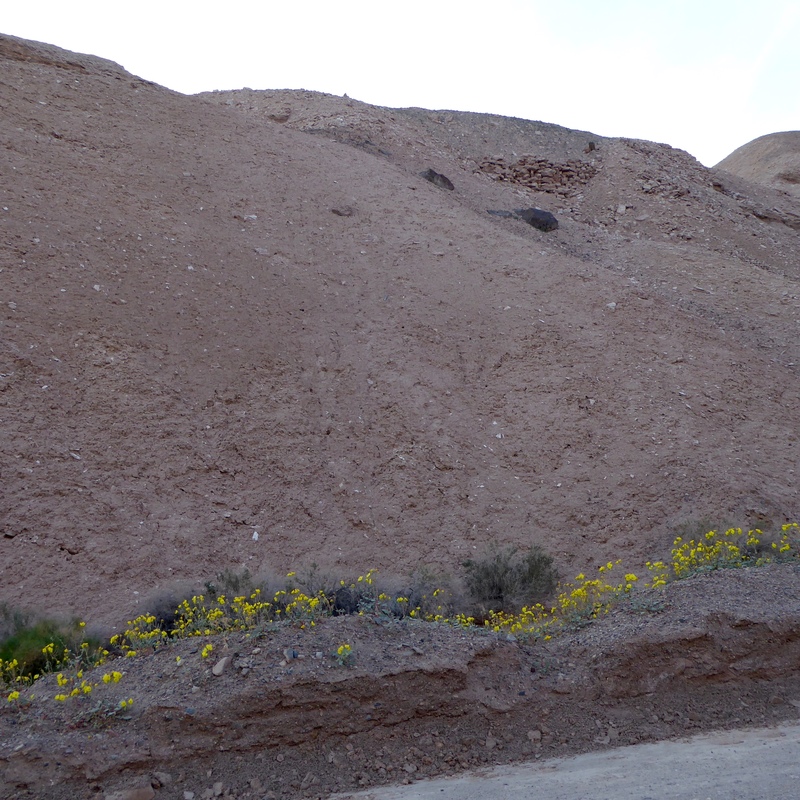 We did like this desert plant with the huge flowering blossom. 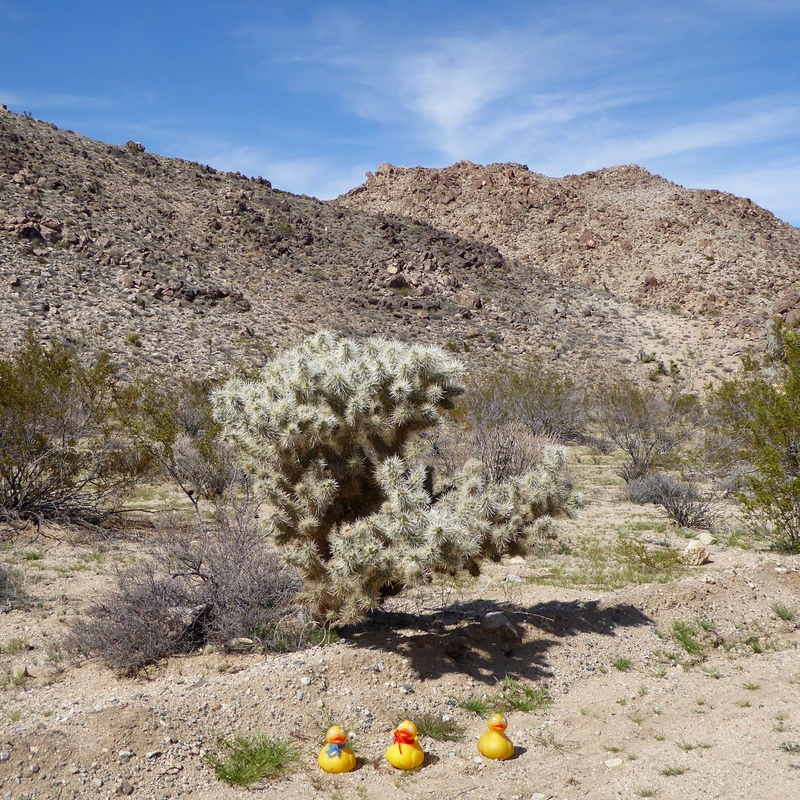 The desert is just so full of different vegetation and so many surprises. 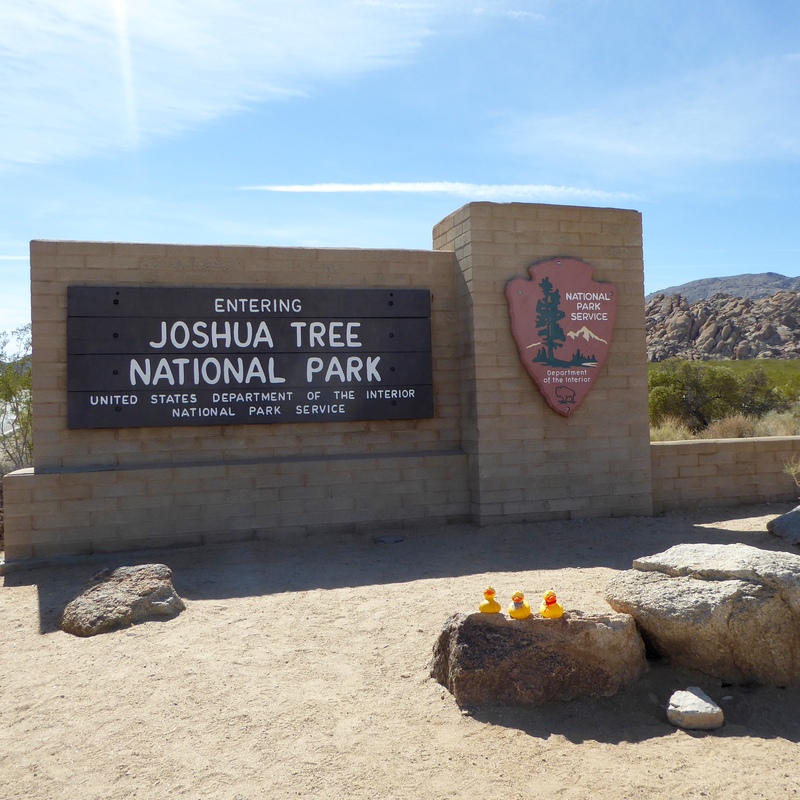 We hope you visit Joshua Tree National Park, or some national parks in this, the Centennial year, of the National Park Service. We are driving into the Mojave Desert. Looking around, there is not much vegetation, dry mountains around us, and 57 minutes with no other humans in sight. 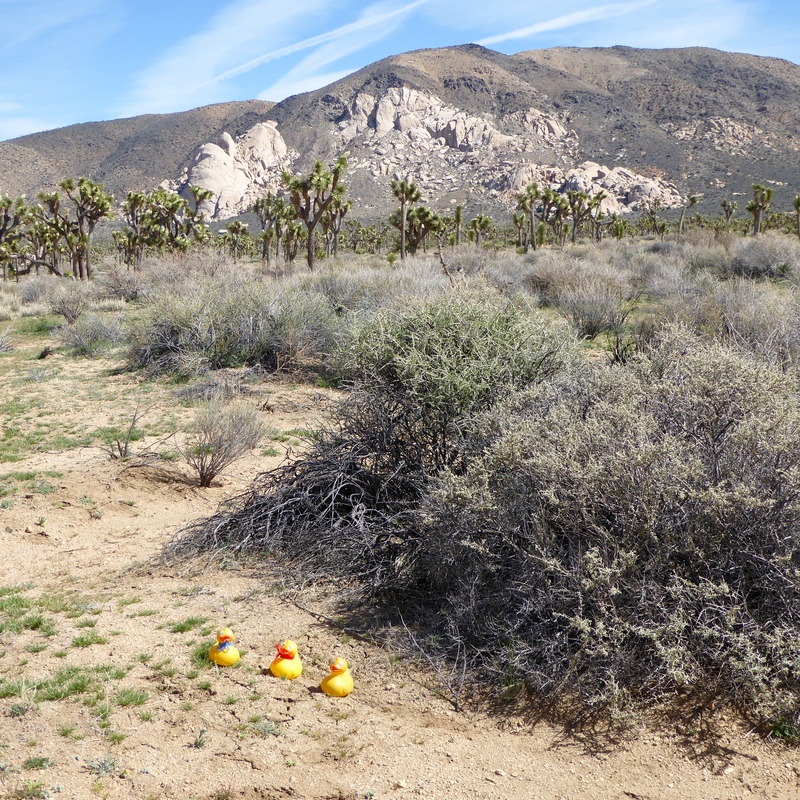 These are Joshua Trees, also known as yucca palms. 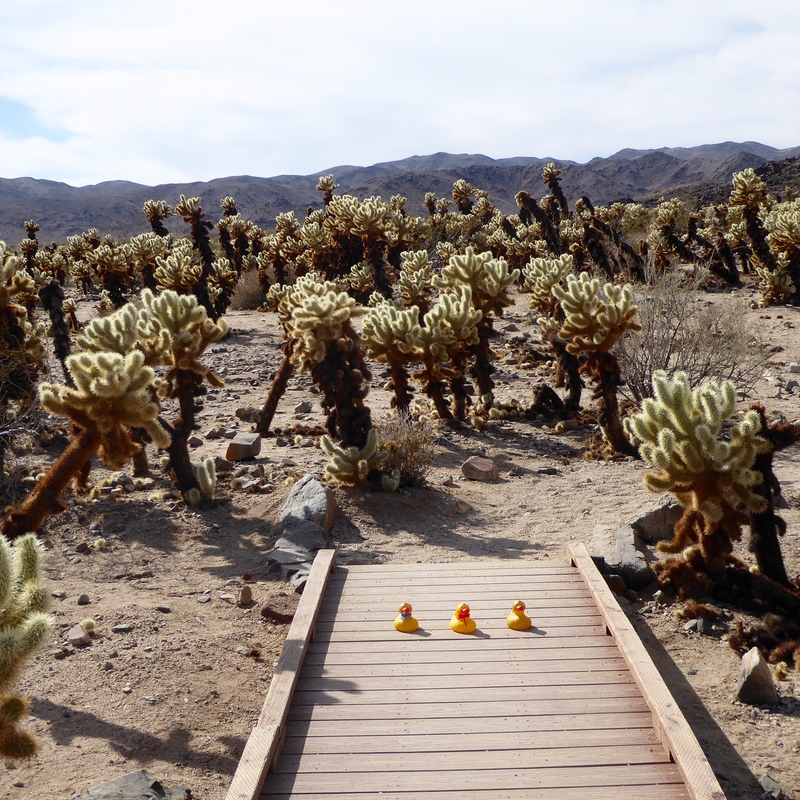 There is a national park featuring Joshua Trees. Very tall mountains add to the feeling of isolation. A town on the horizon. This is Kelso Depot and Visitor’s Center. The visitor’s center is not open yet this morning, so we just look. From the mid 1940s until 1985 this was the jail for Kelso. 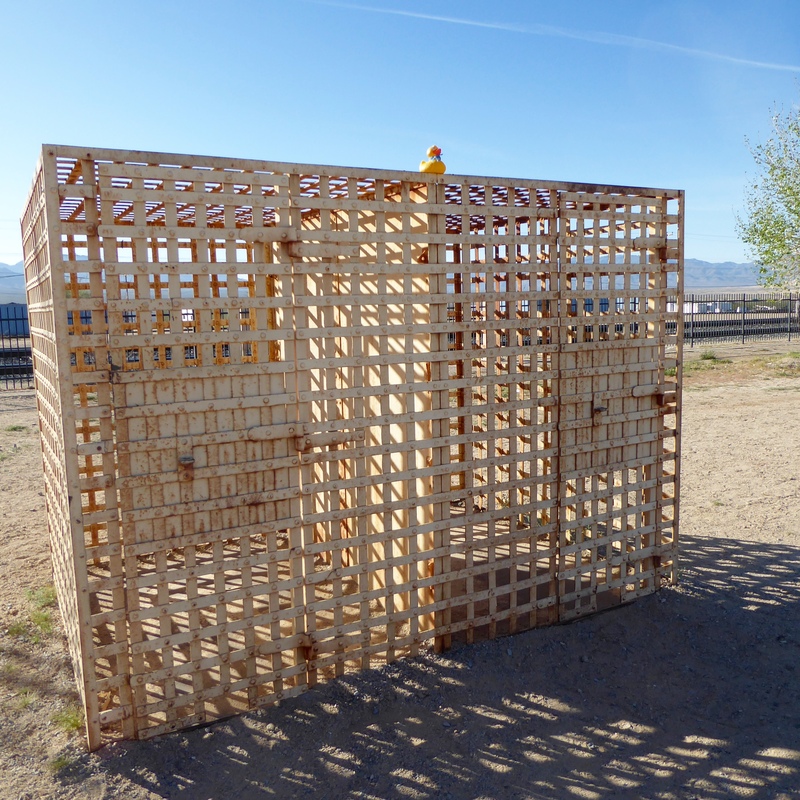 A 2 cell, strap-steel jail to confine drunks and other unruly individuals for a night or two. The jail was originally west of Kelso Depot on the far side of Kelbaker Road. 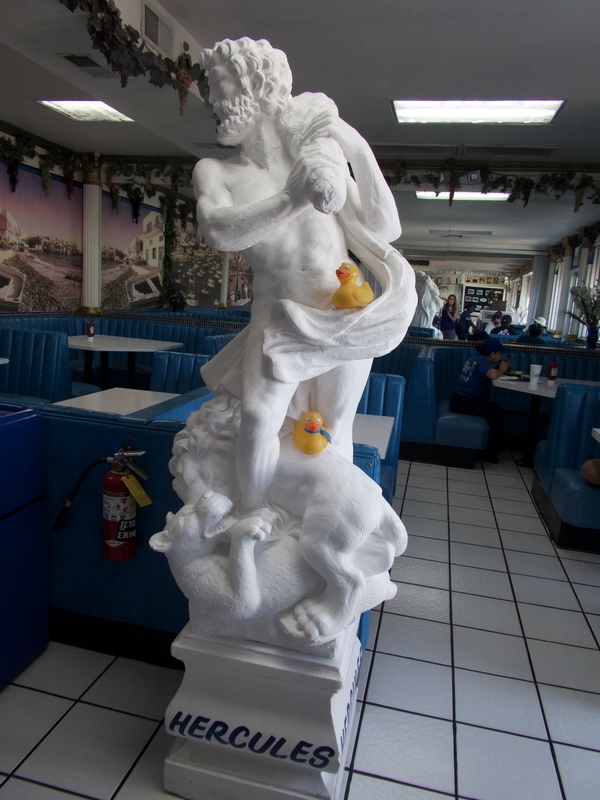 That rascal, Soapy Smith Duck, better be careful…he may have to stay in jail in Kelso, California. 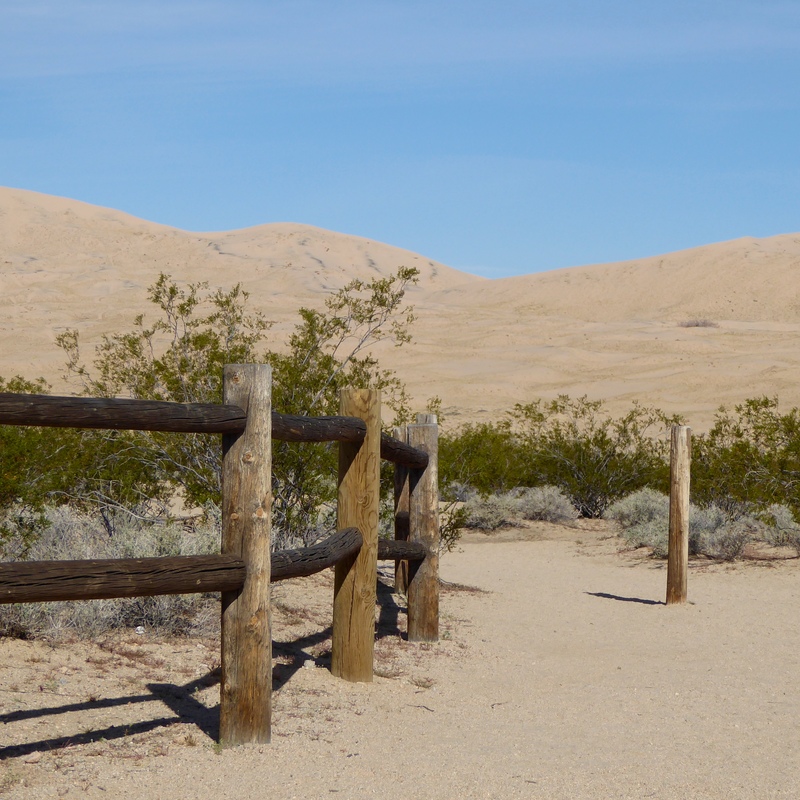 Kelso Dunes are the largest field of eolian sand deposits in the Mojave Desert. They cover 45 sq. miles and reach heights of 600 feet. Humans can walk to the dunes and climb to the top. The dunes were formed 25,000 years ago. 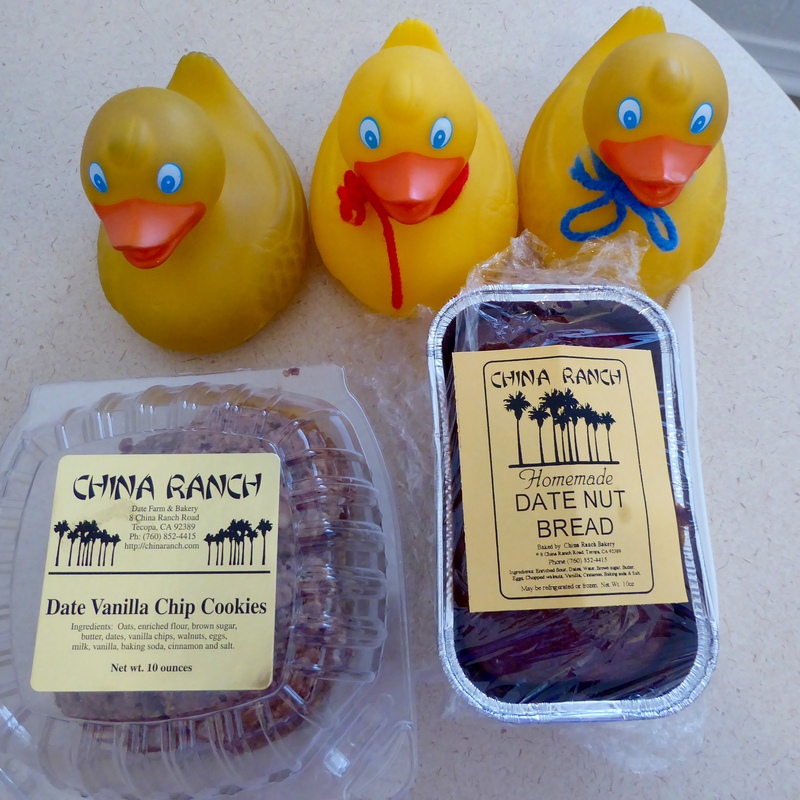 OK Ducks. Let’s walk a little way in the sand, but not to the top of the dunes today. Leaving Kelso Dunes, we pose for a photo with these wildflowers. 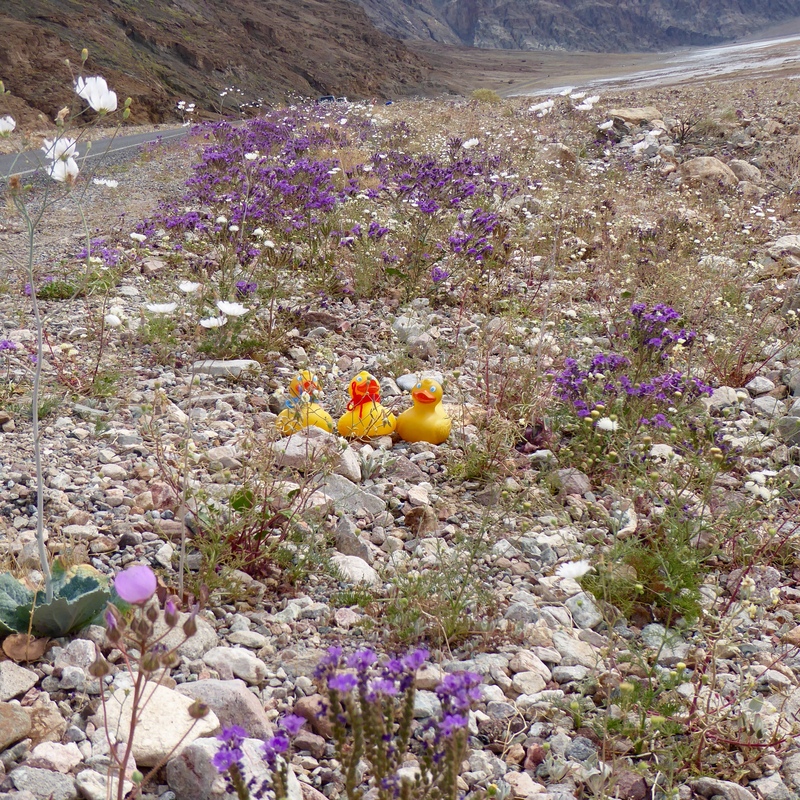 Remember, wild flowers in the desert were the reason for this road trip. 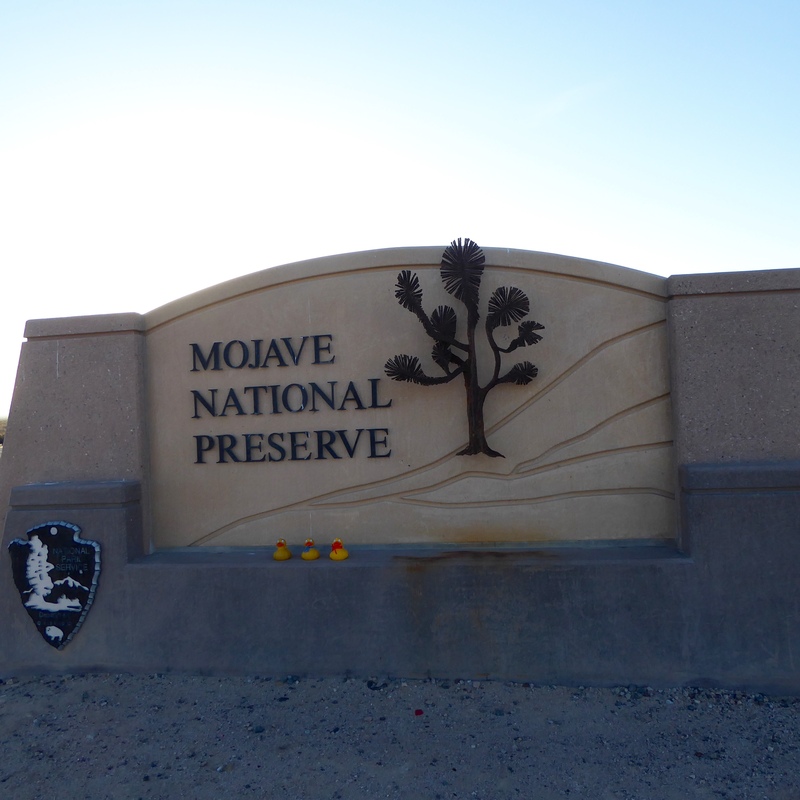 We are out of the Mojave National Preserve, but still in the Mojave Desert. We like these trees with the bright orange. We are not sure, but we think the lower plants turn orange when they die, and blew into the tree. But it is pretty. 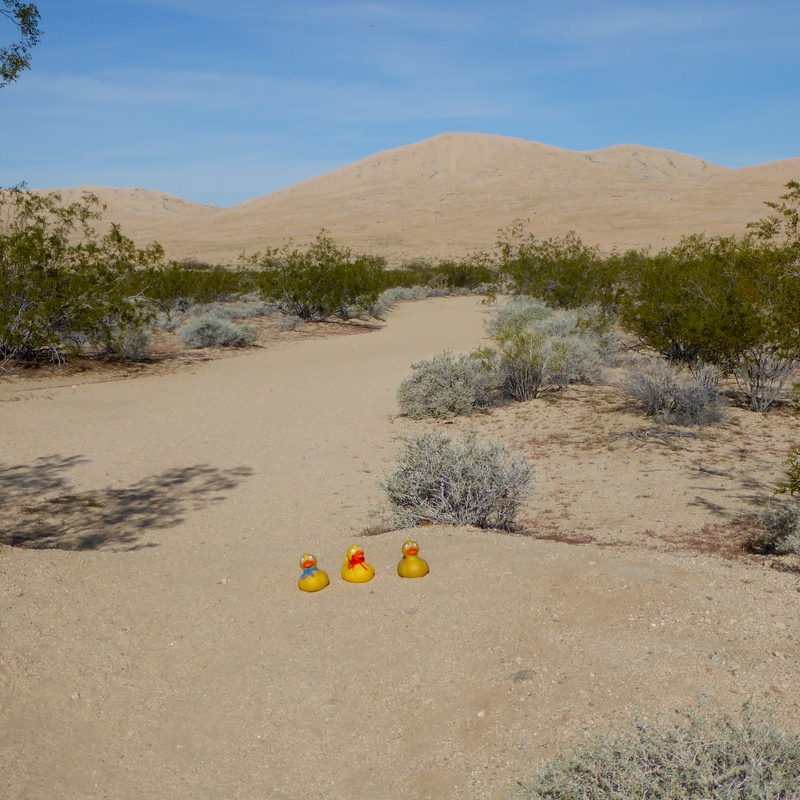 The Mojave Desert does have vegetation, but not very tall. We like the harsh look of the desert. 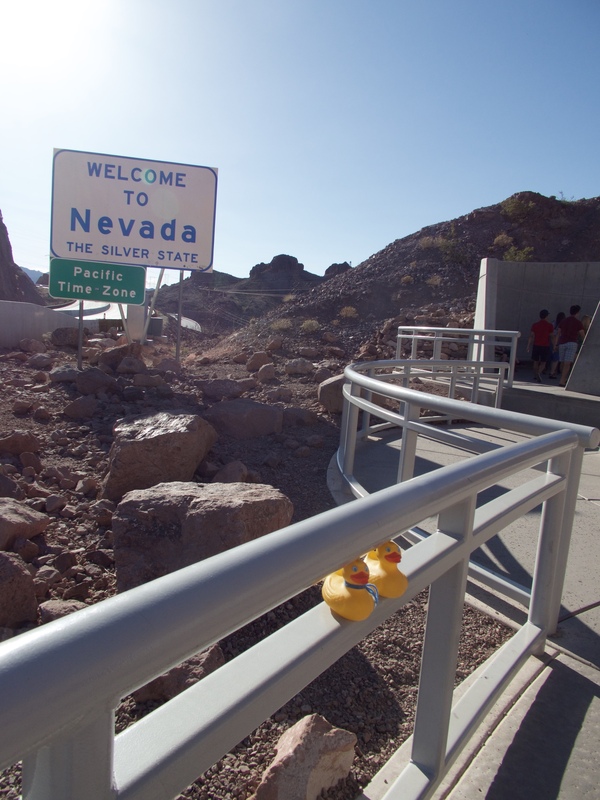 The largest national park south of Alaska reveals more secrets to the Colorado Traveling Ducks. Driving to Dantes View, we gain elevation. 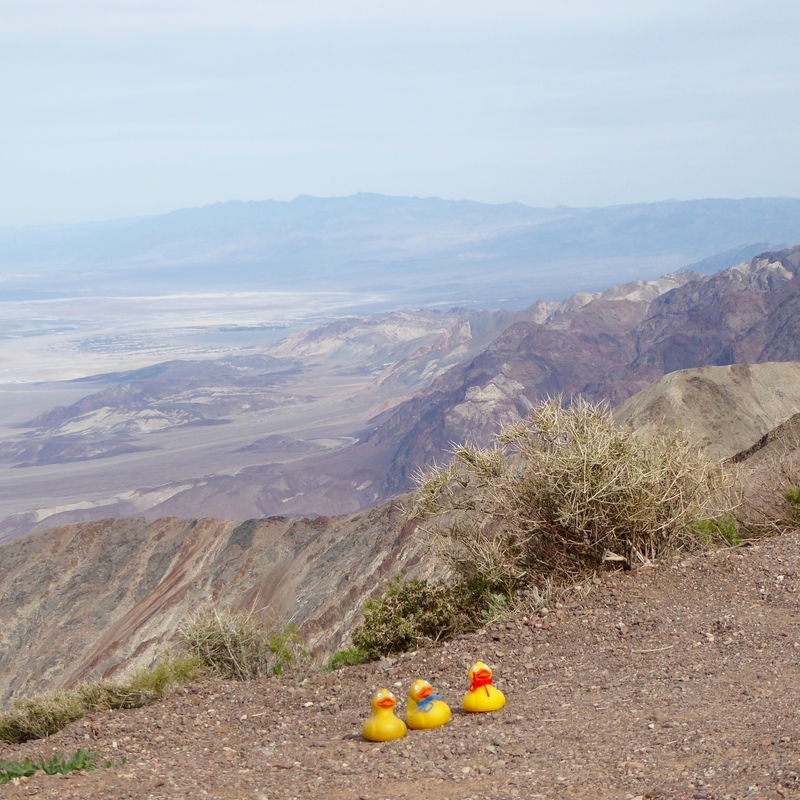 This, the most breathtaking viewpoint in the park, is 5,475 feet above the floor of Death Valley. 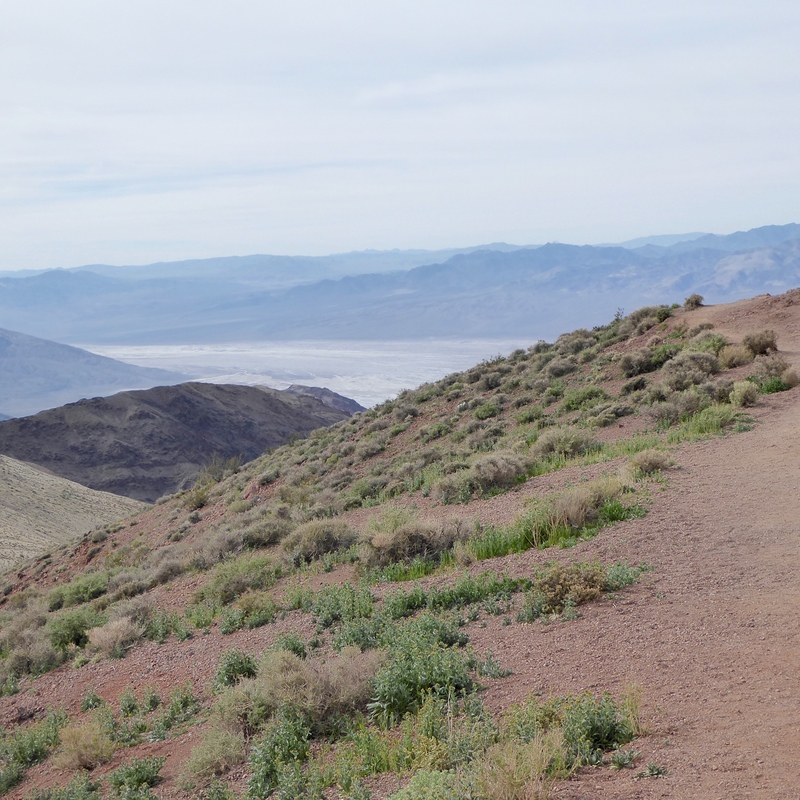 Looking to the floor of Death Valley from Dantes View, the green vegetation is a contrast to the dry earth. 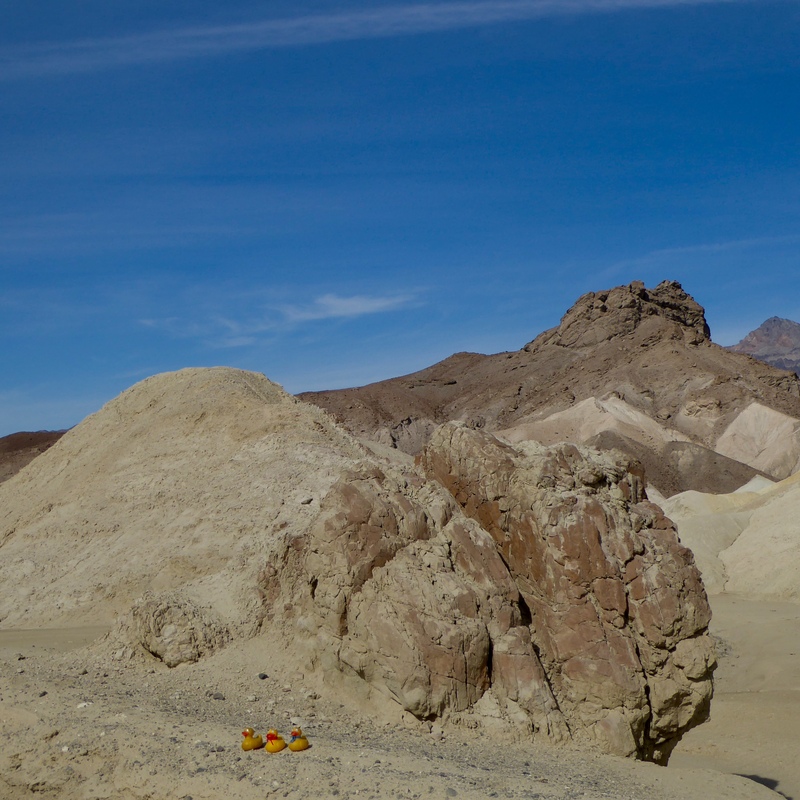 The white ground below is a reminder that all minerals that are thrown in the valley, from volcanic activity, earthquakes or rain, will forever remain in Death Valley. This land, below sea level, has no outlet to the sea, so everything stays here and is further altered by the forces of nature. 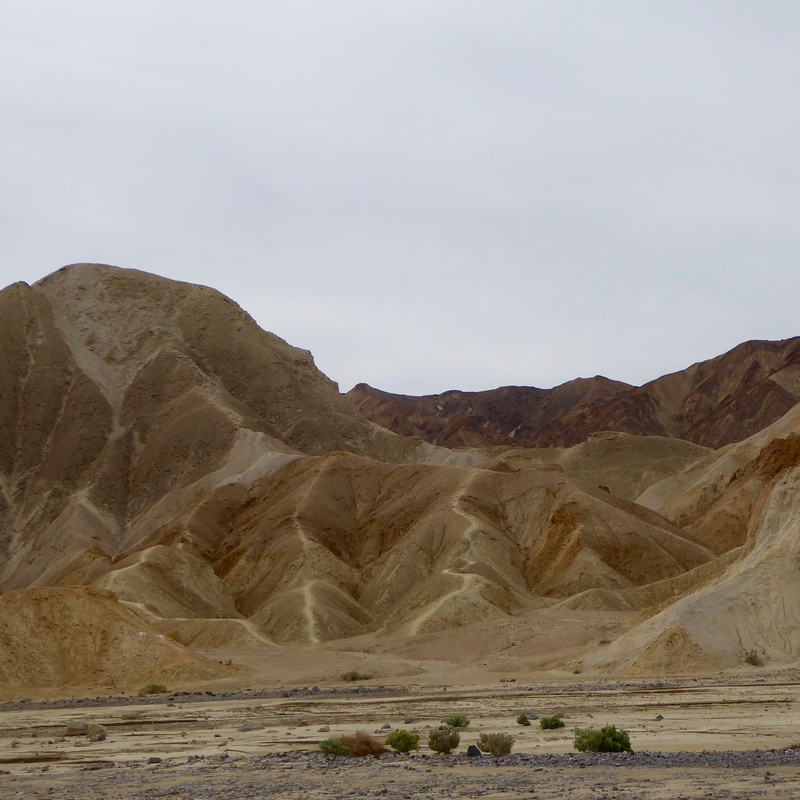 Not only is the floor of Death Valley covered with minerals, but the mountain walls of the valley exhibit colors and patterns from thousands of years of change. Mom is experimenting with the panorama function on her camera. We like the effect. 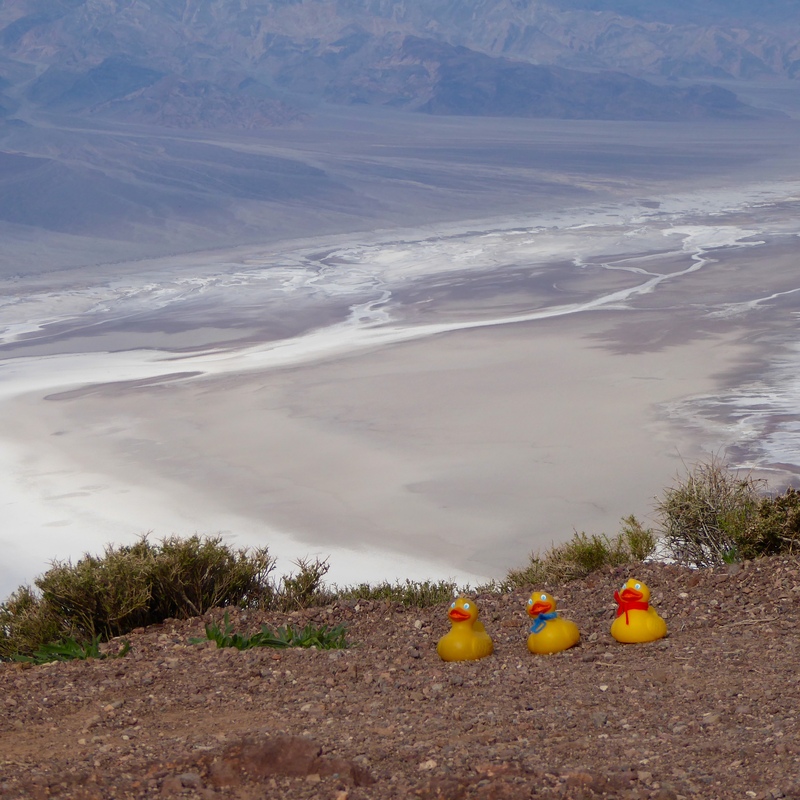 From the high point, let’s go to the floor of Death Valley. 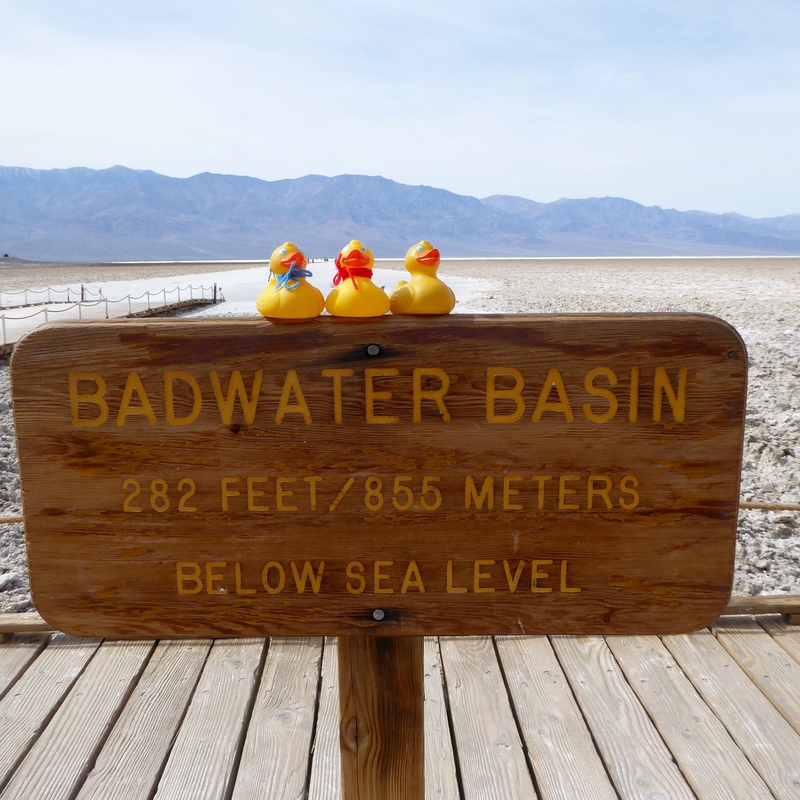 We drive to Badwater Basin. This is not only the lowest point in North America, but it is the lowest point in the Western Hemisphere. There are not many places in the world where you can stand on dry land, below sea level. Let’s go on the salt flats. We are careful to only walk where it is allowed. This environment is fragile and we do not want to destroy any of it. We are happy to discover our national parks. Did you know that the National Park Service is 100 years old in 2016? Now we turn our backs to the salt flats and look at the rock wall. If you look closely you will see a white rectangular sign marking sea level. 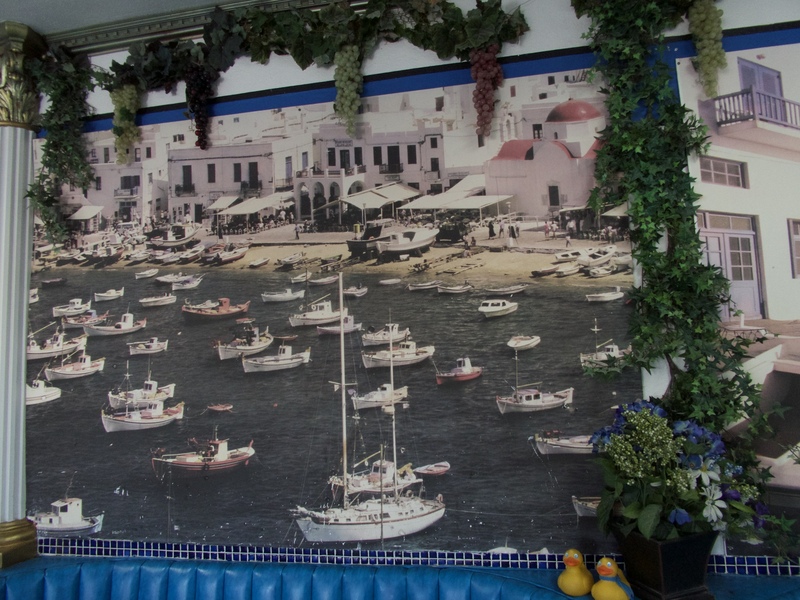 The sign is about half way up the wall and 2/3 to the right of this photo. 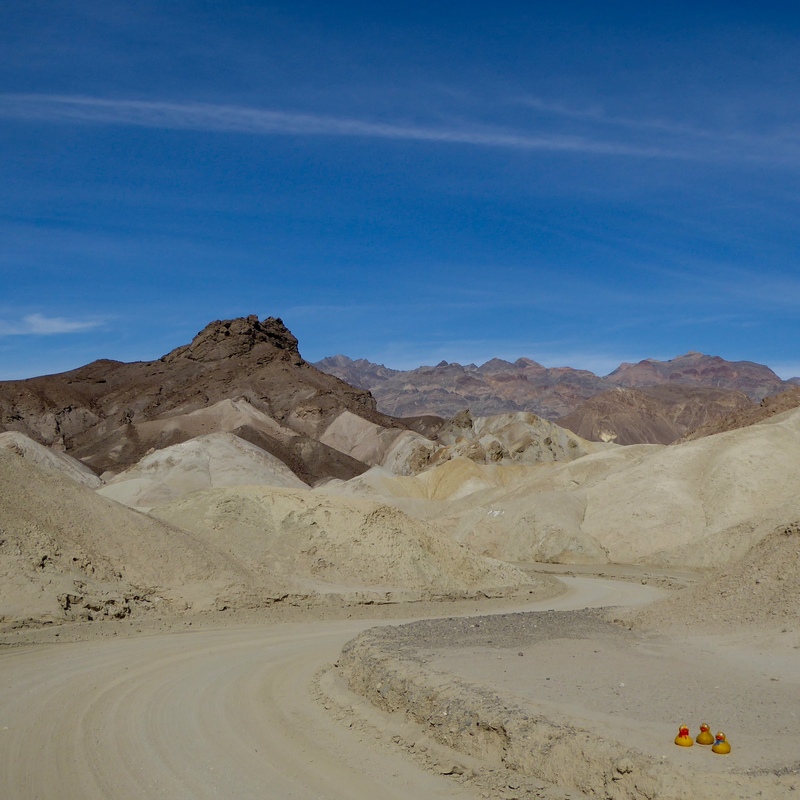 The information signs say that Death Valley Basin is still dropping. Today we are 282 feet below sea level. 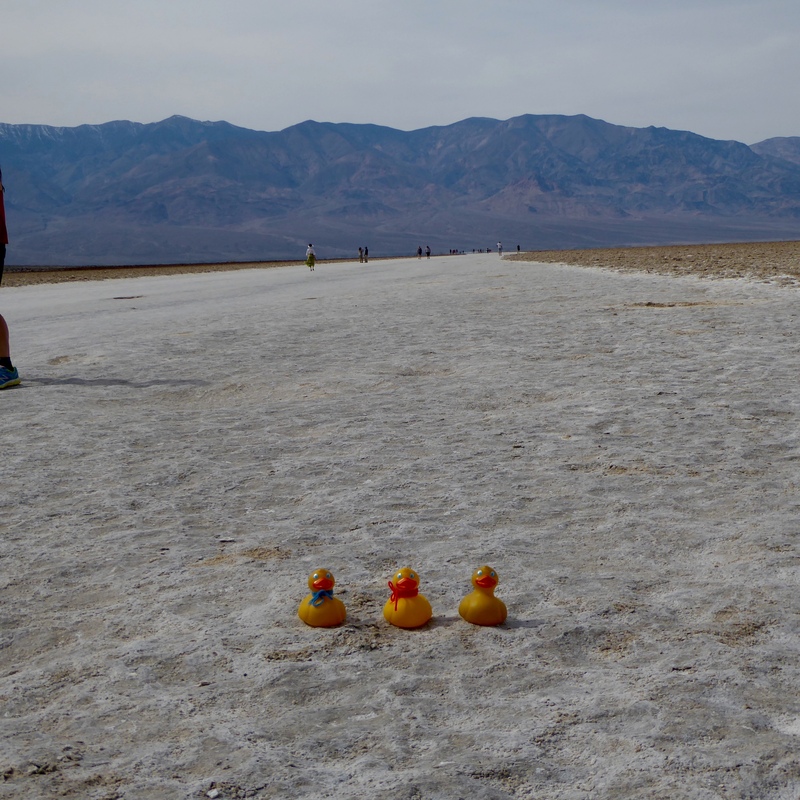 Hundreds of years from now, these salt flats probably will be further below sea level. We only spent a couple days in Death Valley National Park, but you could spend a day, a week, or months here and never see everything. The park is huge and the land is constantly changing. The rain and flooding from September gave us the wildflowers this spring. In the park, you can receive wildflower updates. You may want to view the best flower display. We loved all the flowers, but our photos are not the best. You may want to use google to see more pictures. But we were happy with these flowers. We hope you enjoy some national parks this year. 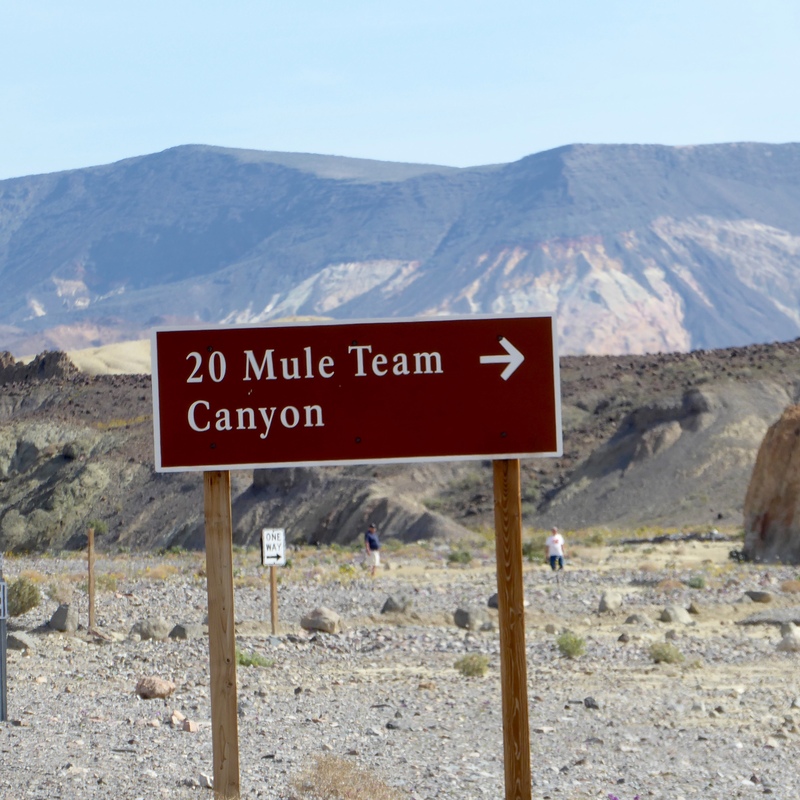 Driving through Death Valley National Park, we spotted the road in 20 Mule Team Canyon. Let’s go. 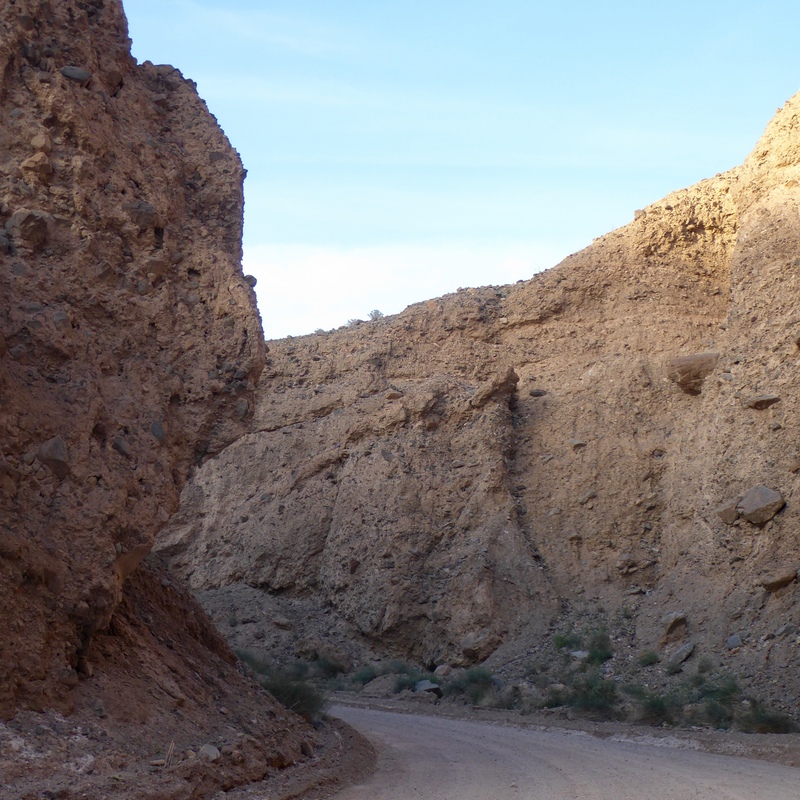 On a dirt road we followed the dried river bed. And, yes this is the road. Let’s hope there is no sudden rain and flash flooding. There was none. Just beautiful sunny skies. Even the mountains look dry. 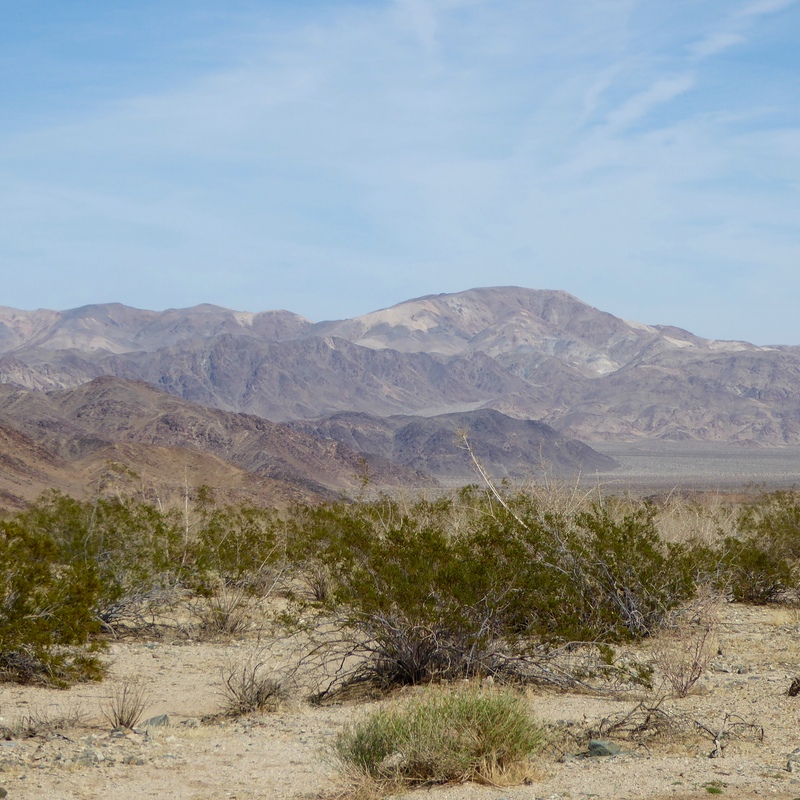 Remember, Death Valley usually only receives 2 inches of moisture annually. And the summers are extremely hot. This was a short 3 mile loop, but we loved it. 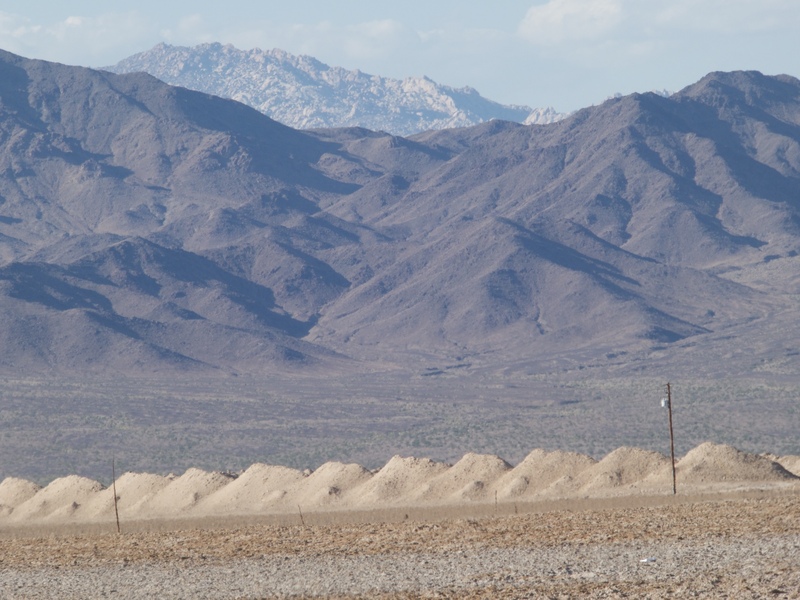 The desert mountain landscape fascinates us. In this area of the park, these are typical rock formations. 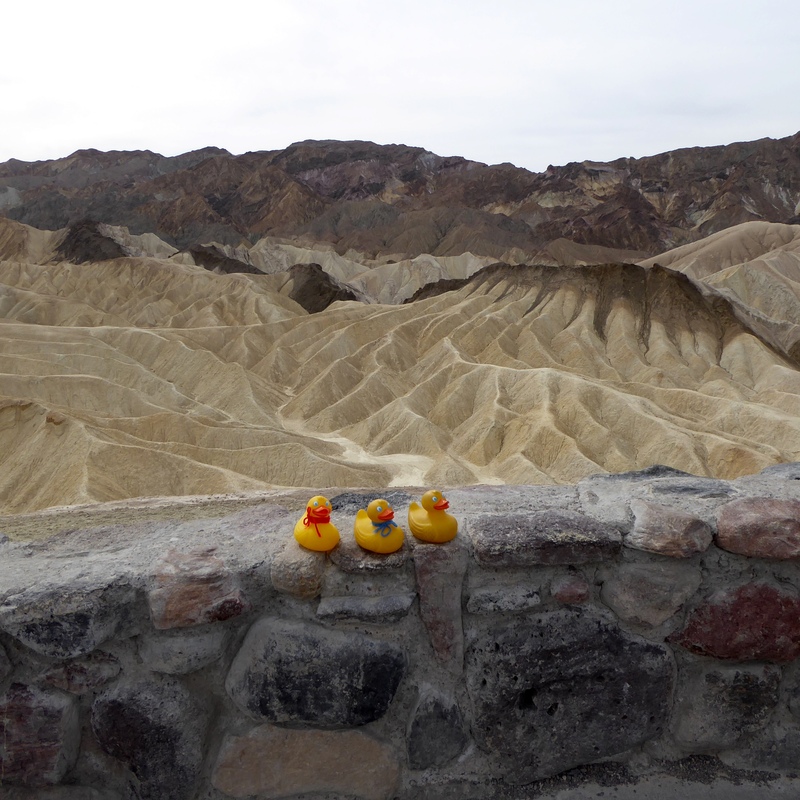 Next turn off for us is Zabriskie Point which overlooks what is referred to as the Badlands. 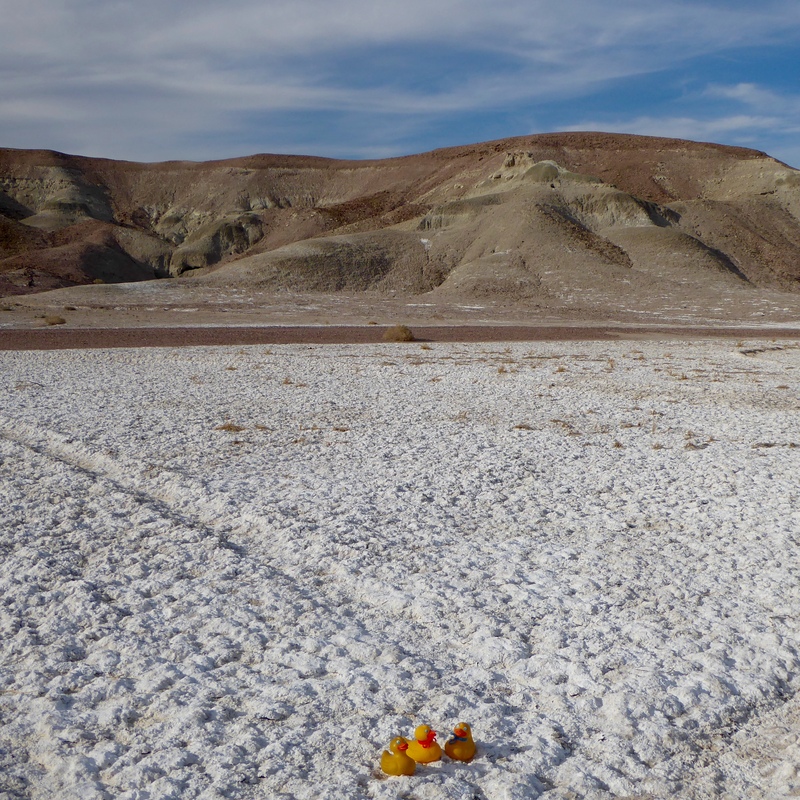 Within the lake bed are rich layers of Colemanite and Uluxite, minerals often referred to as Borax. Strip mining was used until a 1976 law close the park to prospecting and gave the National Park Service more control over mining activity. There is still some private mines in operation in the park, but no strip mining. Pacific Coast Borax Company was a major mining company, but by the 1920s their mining activity had slowed. 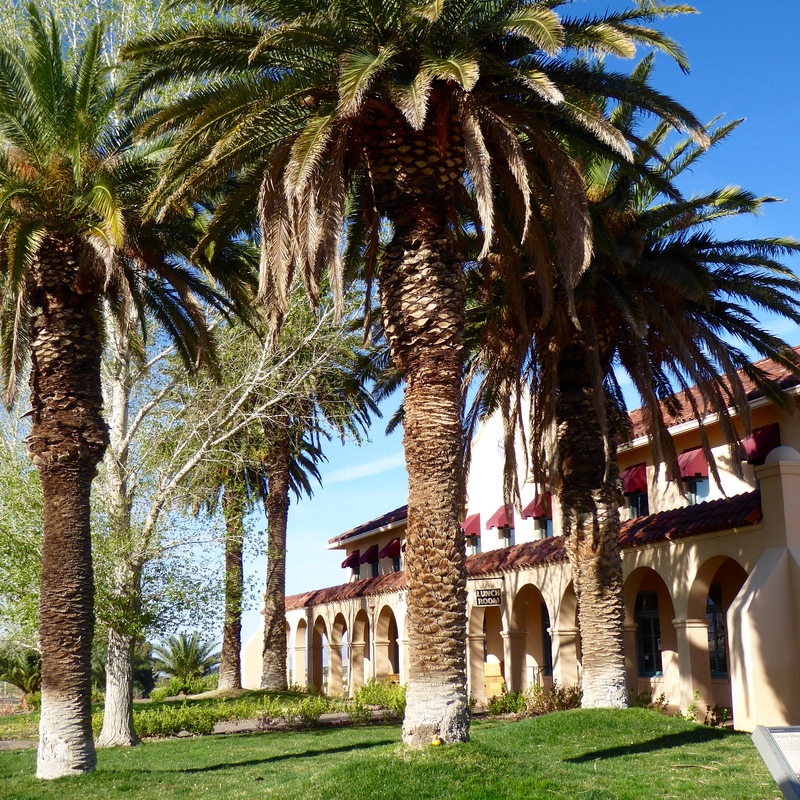 The company turned to tourism by opening the elegant Furnace Creek Inn in 1927, with great success. Christian B. Zabriskie was vice president and general manager of Pacific Coast Borax Company during the transition from mining to tourism. 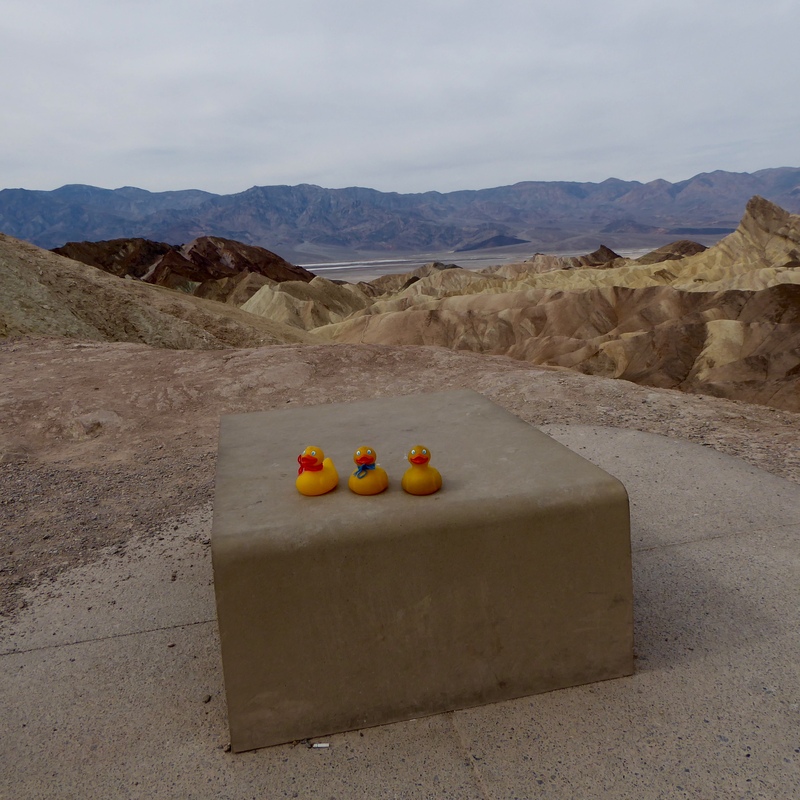 This lookout, Zabriskie Point, is named for him. 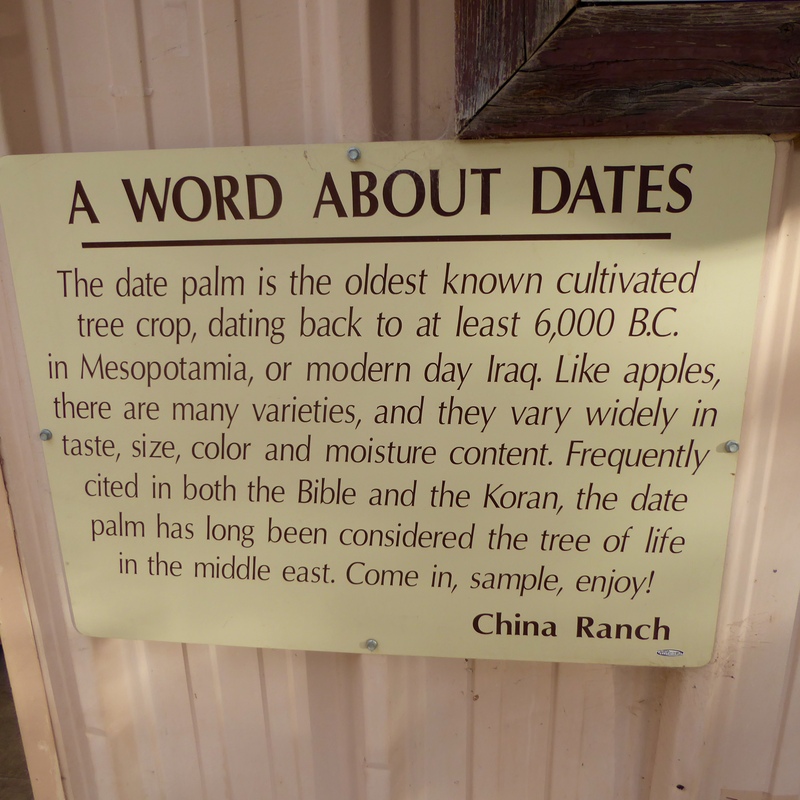 Aren’t park information signs great? 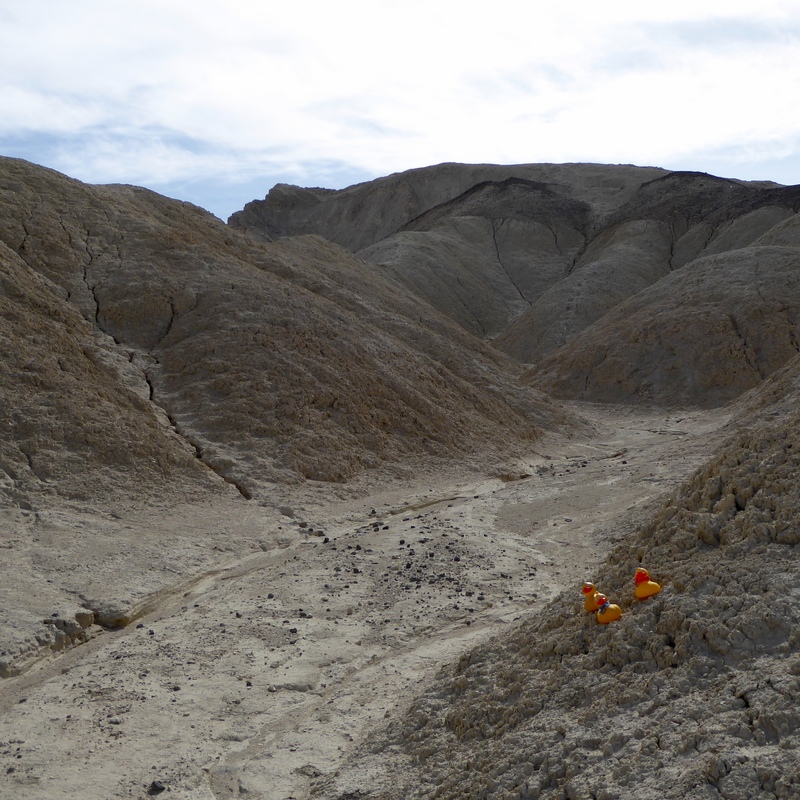 Much of this landscape was formed by water and earthquakes. However the black layer here is lava that oozed out onto the ancient lake bed. Hot water followed the lava, bringing minerals such as borax, gypsum and calcite with it. Isn’t geology fascinating? We left the park for the evening, but we will return in the morning. 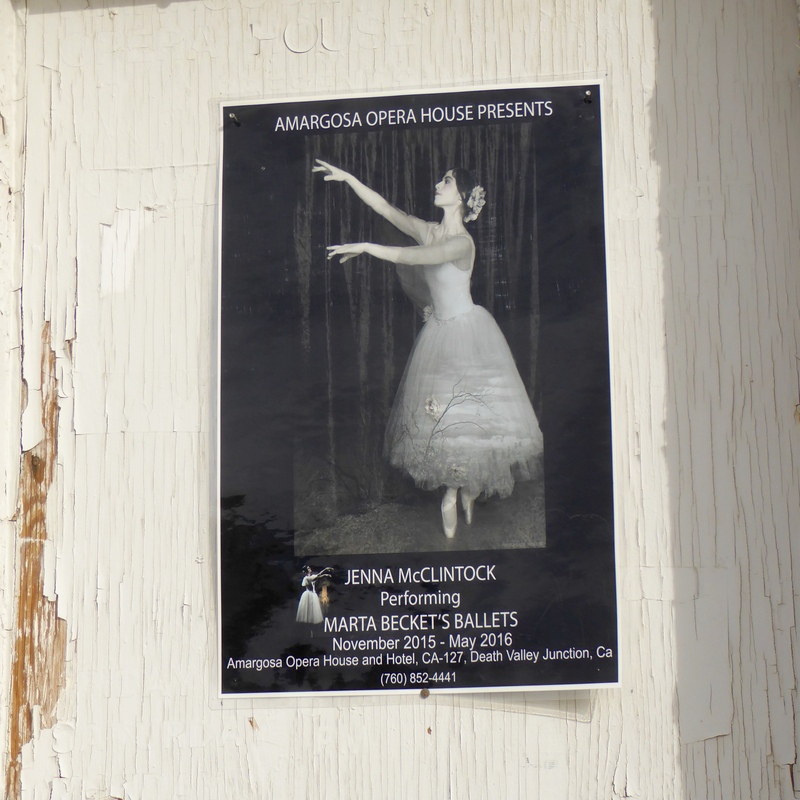 Driving into Death Valley Junction, we saw the Amargosa Opera House and Hotel. This is now an historic building and cultural center. Marta Becket was professional dancer who danced at Radio City Music Hall and performed on Broadway in New York City. 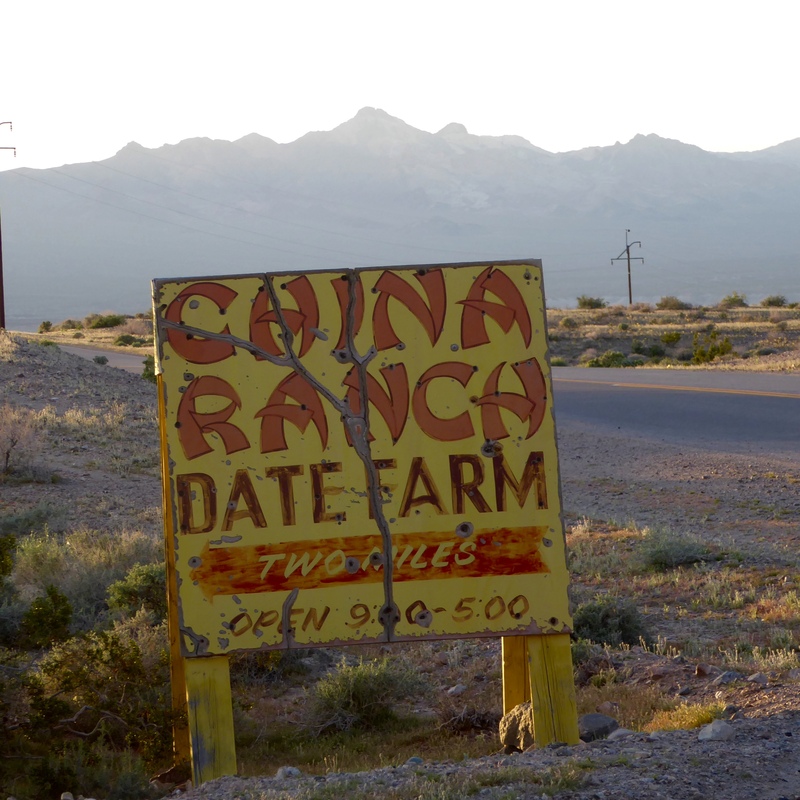 A flat tire on a camping trip led her to Death Valley Junction where she fell in love with the theater. 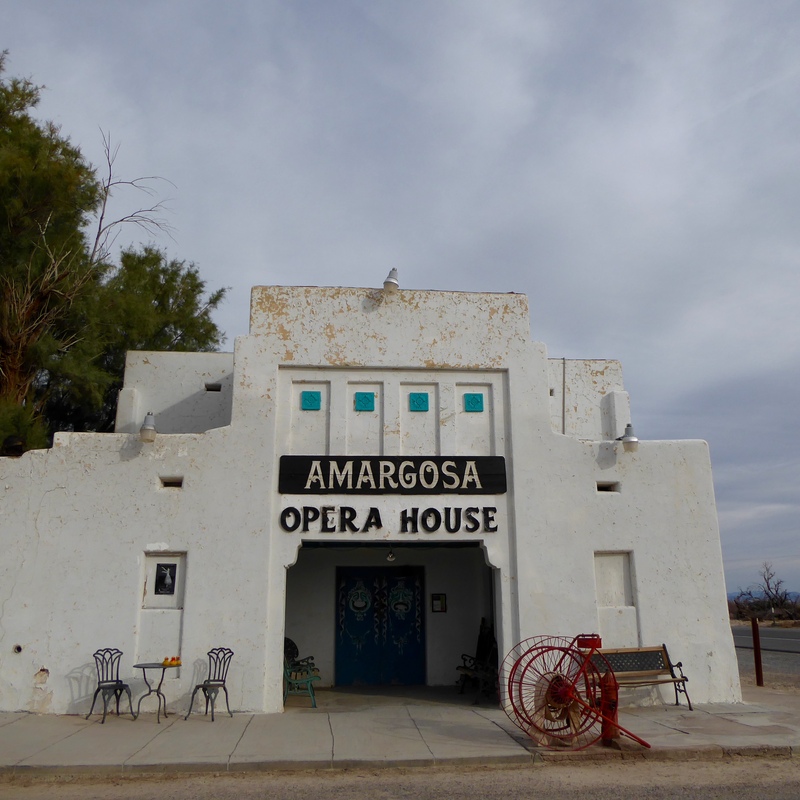 She renovated it and renamed it Amargosa Opera House. 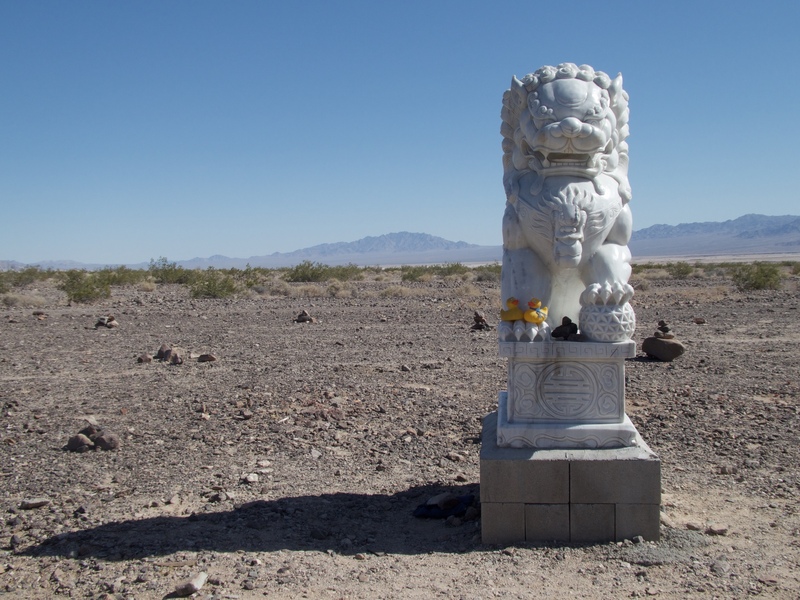 She remains in Death Valley Junction, performing until she officially retired in 2012. She still lives there, and live performances are still performed at the Opera House. 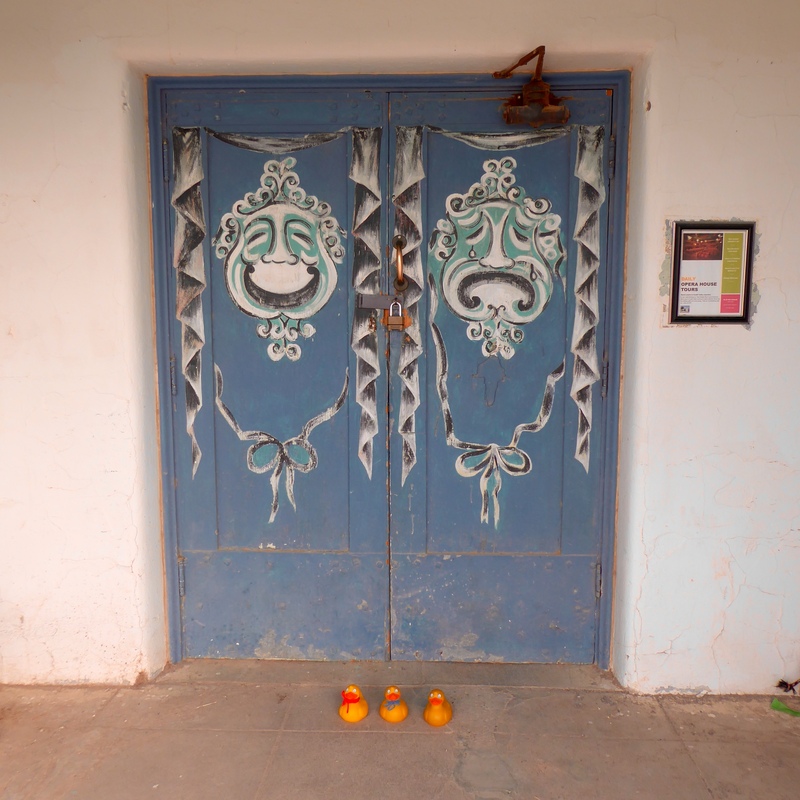 We thought the doors to the Amargosa Opera House were wonderful. 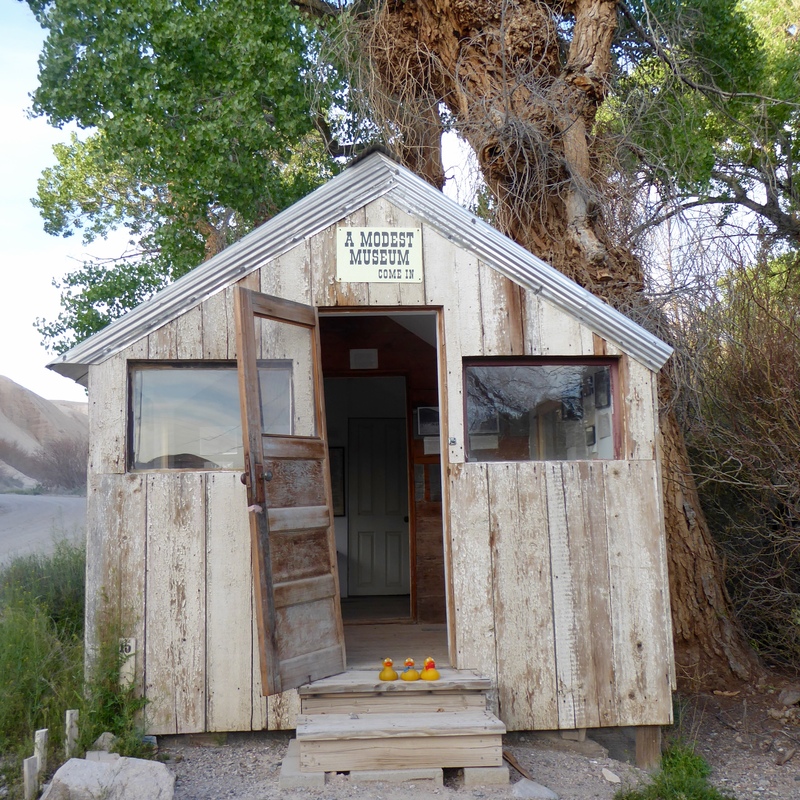 We spent the night at Tecopa, California. There are many hot springs in the area and we enjoyed soaking in the hot water. The ground is white from minerals. There is a variety of minerals, but salt is in there also. Yes, mom tasted it. 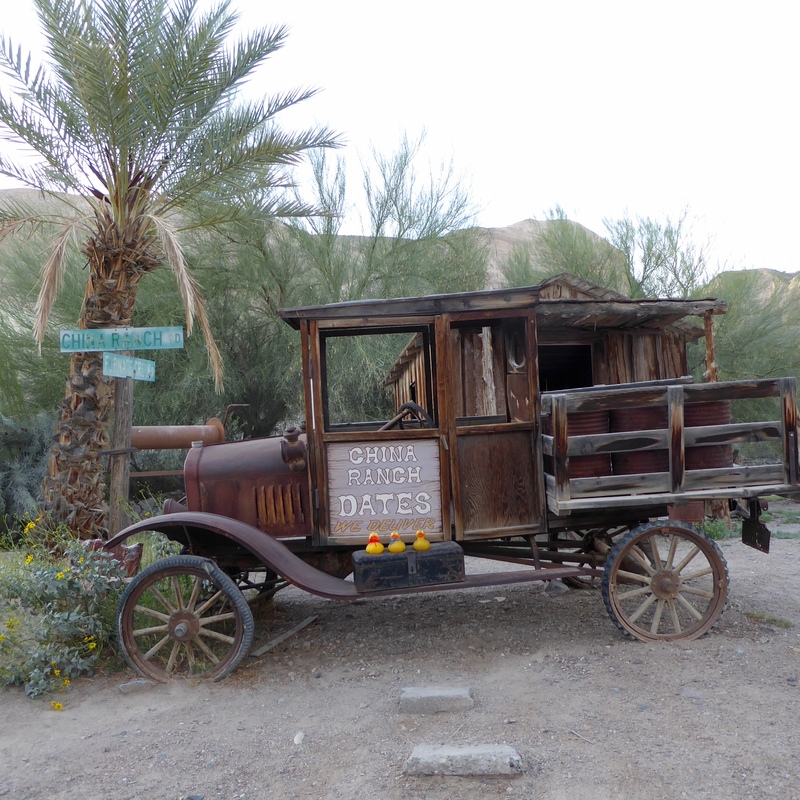 We liked this wagon in Tecopa. The evening sky was so clear, we saw thousands of brilliant stars. 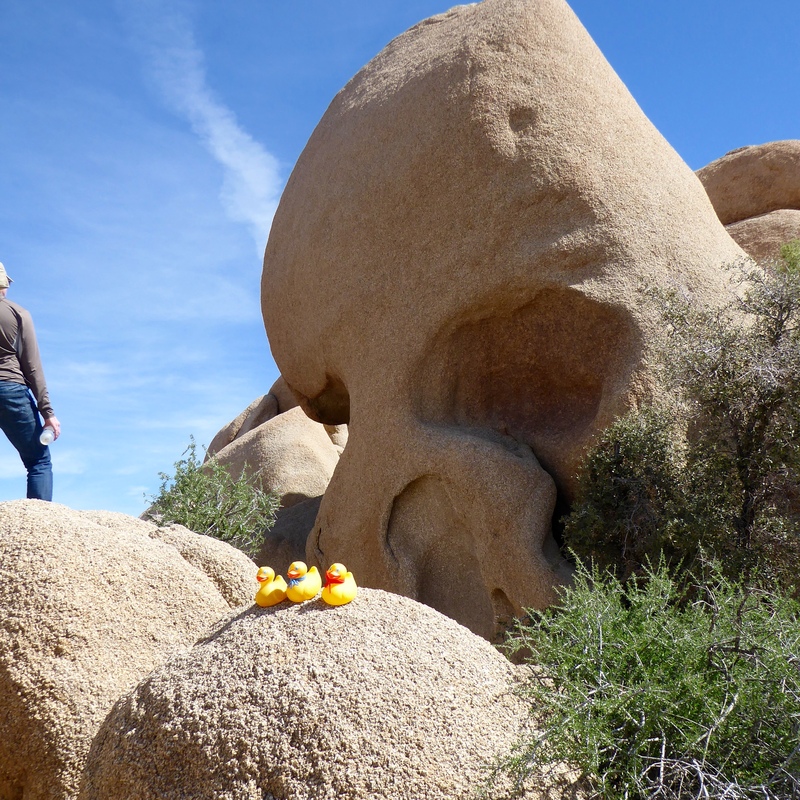 We are enjoying our time in the desert.